The Code of Federal Regulations (CFR) is the codification of the general and permanent regulations published by the executive agencies of the U.S. federal government. The Internal Revenue Service (IRS) is entrusted with the authority to interpret and enforce administrative law established through U.S. Code legislation. 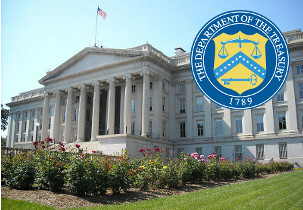 The final regulations are enacted by the the Department of the Treasury in the Federal Register after a period of sufficent public notice and comment unless it is determined that they are at vaiance with the "enabling statute." Below are the details of final CFR regulations, as well as, the Treasury Decisions (TD) that relate to Section 41 and Section 174 of the U.S. Code explaining the R&D (formally, the Research & Experimentation) tax credit. Title 26: Internal Revenue -- Chapter 1: Internal Revenue Service, Department of the Treasury -- Subchapter A: Income Tax -- Part 1: Income Tax -- Section 1.41: Credit for Increasing Research Activities of the Code of Federal Regulations describes the credit for increasing research activities. 26 CFR §1.41-0 Table of contents. This section lists the table of contents for §§ 1.41-1 through 1.41-9. (b) Introduction to regulations under section 41. (a) Trade or business requirement. (3) Research performed for others. (i) Taxpayer not entitled to results. (ii) Taxpayer entitled to results. (ii) Special rule for certain partnerships and joint ventures. (b) Supplies and personal property used in the conduct of qualified research. (3) Right to use personal property. (4) Use of personal property in taxable years beginning after December 31, 1985. (1) Engaging in qualified research. (d) Wages paid for qualified services. (2) Performance of qualified research. (b) Special rules for short taxable years. (2) Short taxable year preceding credit year. (3) Short taxable year in determining fixed-base percentage. (c) Definition of gross receipts. (ii) Certain additional activities related to the business component. (5) Surveys, studies, research relating to management functions, etc. (6) Internal use software for taxable years beginning on or after December 31, 1985. [Reserved]. (7) Activities outside the United States, Puerto Rico, and other possessions. >§ 1.41-6 Aggregation of expenditures. (a) Controlled groups of corporations; trades or businesses under common control. (b) Computation of the group credit. (c) Allocation of the group credit. (d) Special rules for consolidated groups. (3) Special rule for allocation of group credit among consolidated group members. (f) For taxable years beginning before January 1, 1990. (g) Tax accounting periods used. (2) Special rule when timing of research is manipulated. (h) Membership during taxable year in more than one group. (3) Taxable years ending after June 9, 2011. (1) Corporation making an election under subchapter S.
(i) Pass-through, for taxable years beginning after December 31, 1982, in the case of an S corporation. (ii) Pass-through, for taxable years beginning before January 1, 1983, in the case of a subchapter S corporation. (2) Pass-through in the case of an estate or trust. (3) Pass-through in the case of a partnership. (ii) Certain expenditures by joint ventures. (4) Year in which taken into account. (5) Credit allowed subject to limitation. (b) Adjustments for certain acquisitions and dispositions-Meaning of terms. (c) Special rule for pass-through of credit. (d) Carryback and carryover of unused credits. (2) Time and manner of election. (4) Special rules for controlled groups. (1) Qualified research expenditures (QREs) required in all years. 26 CFR §1.41-1 Credit for increasing research activities. (a) Amount of credit. The amount of a taxpayer's credit is determined under section 41(a). For taxable years beginning after June 30, 1996, and at the election of the taxpayer, the portion of the credit determined under section 41(a)(1) may be calculated using the alternative incremental credit set forth in section 41(c)(4). For taxable years ending after December 31, 2006, and at the election of the taxpayer, the portion of the credit determined under section 41(a)(1) may be calculated using either the alternative incremental credit set forth in section 41(c)(4), or the alternative simplified credit set forth in section 41(c)(5). (1) Sections 1.41-2 through 1.41-8 and 1.41-3A through 1.41-5A address only certain provisions of section 41. The following table identifies the provisions of section 41 that are addressed, and lists each provision with the section of the regulations in which it is covered. § 1.41-3A 41(c)(taxable years beginning before January 1, 1990). § 1.41-4A 41(d)(taxable years beginning before January 1, 1986). § 1.41-5A 41(e)(taxable years beginning before January 1, 1987). (2) Section 1.41-3A also addresses the special rule in section 221(d)(2) of the Economic Recovery Tax Act of 1981 relating to taxable years overlapping the effective dates of section 41. Section 41 was formerly designated as sections 30 and 44F. Sections 1.41-0 through 1.41-8 and 1.41-0A through 1.41-5A refer to these sections as section 41 for conformity purposes. Whether section 41, former section 30, or former section 44F applies to a particular expenditure depends upon when the expenditure was paid or incurred. 26 CFR §1.41-2 Qualified research expenses. (1) In general. An in-house research expense of the taxpayer or a contract research expense of the taxpayer is a qualified research expense only if the expense is paid or incurred by the taxpayer in carrying on a trade or business of the taxpayer. The phrase "in carrying on a trade or business" has the same meaning for purposes of section 41(b)(1) as it has for purposes of section 162; thus, expenses paid or incurred in connection with a trade or business within the meaning of section 174(a) (relating to the deduction for research and experimental expenses) are not necessarily paid or incurred in carrying on a trade or business for purposes of section 41. A research expense must relate to a particular trade or business being carried on by the taxpayer at the time the expense is paid or incurred in order to be a qualified research expense. For purposes of section 41, a contract research expense of the taxpayer is not a qualified research expense if the product or result of the research is intended to be transferred to another in return for license or royalty payments and the taxpayer does not use the product of the research in the taxpayer's trade or business. (2) New business. Expenses paid or incurred prior to commencing a new business (as distinguished from expanding an existing business) may be paid or incurred in connection with a trade or business but are not paid or incurred in carrying on a trade or business. Thus, research expenses paid or incurred by a taxpayer in developing a product the sale of which would constitute a new trade or business for the taxpayer are not paid or incurred in carrying on a trade or business. (i) Taxpayer not entitled to results. If the taxpayer performs research on behalf of another person and retains no substantial rights in the research, that research shall not be taken into account by the taxpayer for purposes of section 41. See § 1.41-4A(d)(2). (ii) Taxpayer entitled to results. If the taxpayer in carrying on a trade or business performs research on behalf of other persons but retains substantial rights in the research, the taxpayer shall take otherwise qualified expenses for that research into account for purposes of section 41 to the extent provided in § 1.41-4A(d)(3). (i) In general. An in-house research expense or a contract research expense paid or incurred by a partnership is a qualified research expense of the partnership if the expense is paid or incurred by the partnership in carrying on a trade or business of the partnership, determined at the partnership level without regard to the trade or business of any partner. (A) If a partnership or a joint venture (taxable as a partnership) is not carrying on the trade or business to which the research relates, then the general rule in paragraph (a)(4)(i) of this section would not allow any of such expenditures to qualify as qualified research expenses. (B) Notwithstanding paragraph (a)(4)(ii)(A) of this section, if all the partners or venturers are entitled to make independent use of the results of the research, this paragraph (a)(4)(ii) may allow a portion of such expenditures to be treated as qualified research expenditures by certain partners or venturers. (C) First, in order to determine the amount of credit that may be claimed by certain partners or venturers, the amount of qualified research expenditures of the partnership or joint venture is determined (assuming for this purpose that the partnership or joint venture is carrying on the trade or business to which the research relates). (D) Second, this amount is reduced by the proportionate share of such expenses allocable to those partners or venturers who would not be able to claim such expenses as qualified research expenditures if they had paid or incurred such expenses directly. For this purpose such partners' or venturers' proportionate share of such expenses shall be determined on the basis of such partners' or venturers' share of partnership items of income or gain (excluding gain allocated under section 704(c)) which results in the largest proportionate share. Where a partner's or venturer's share of partnership items of income or gain (excluding gain allocated under section 704(c)) may vary during the period such partner or venturer is a partner or venturer in such partnership or joint venture, such share shall be the highest share such partner or venturer may receive. (E) Third, the remaining amount of qualified research expenses is allocated among those partners or venturers who would have been entitled to claim a credit for such expenses if they had paid or incurred the research expenses in their own trade or business, in the relative proportions that such partners or venturers share deductions for expenses under section 174 for the taxable year that such expenses are paid or incurred. (F) For purposes of section 41, research expenditures to which this paragraph (a)(4)(ii) applies shall be treated as paid or incurred directly by such partners or venturers. See § 1.41-7(a)(3)(ii) for special rules regarding these expenses. (iii) The following examples illustrate the application of the principles contained in paragraph (a)(4)(ii) of this section. Example 1. A joint venture (taxable as a partnership) is formed by corporations A, B, and C to develop and market a supercomputer. A and B are in the business of developing computers, and each has a 30 percent distributive share of each item of income, gain, loss, deduction, credit and basis of the joint venture. C, which is an investment banking firm, has a 40 percent distributive share of each item of income, gain, loss, deduction, credit and basis of the joint venture. The joint venture agreement provides that A's, B's and C's distributive shares will not vary during the life of the joint venture, liquidation proceeds are to be distributed in accordance with the partners' capital account balances, and any partner with a deficit in its capital account following the distribution of liquidation proceeds is required to restore the amount of such deficit to the joint venture. Assume in Year 1 that the joint venture incurs $100x of "qualified research expenses." Assume further that the joint venture cannot claim the research credit for such expenses because it is not carrying on the trade or business to which the research relates. In addition A, B, and C are all entitled to make independent use of the results of the research. First, the amount of qualified research expenses of the joint venture is $l00x. Second, this amount is reduced by the proportionate share of such expenses allocable to C, the venturer which would not have been able to claim such expenses as qualified research expenditures if it had paid or incurred them directly, C's proportionate share of such expenses is $40x (40% of $100x). The reduced amount is $60x. Third, the remaining $60x of qualified research expenses is allocated between A and B in the relative proportions that A and B share deductions for expenses under section 174. A is entitled to treat $30x ((30%/(30%+30%)) $60x) as a qualified research expense. B is also entitled to treat $30x ((30%/(30%+30%)) $60x) as a qualified research expense. Example 2. Assume the same facts as in example (1) except that the joint venture agreement provides that during the first 2 years of the joint venture, A and B are each allocated 10 percent of each item of income, gain, loss, deduction, credit and basis, and C is allocated 80 percent of each item of income, gain, loss, deduction, credit and basis. Thereafter the allocations are the same as in example (1). Assume for purposes of this example that such allocations have substantial economic effect for purposes of section 704 (b). C's highest share of such items during the life of the joint venture is 80 percent. Therefore C's proportionate share of the joint venture's qualified research expenses is $80x (80% of $100x). The reduced amount of qualified research expenses is $20x ($100x-$80x). A is entitled to treat $10x ((10%/(10%+10%)) $20x) as a qualified research expense in Year 1. B is also entitled to treat $10x ((10%/(10%+10%)) $20x) as a qualified research expense in Year 1. (1) In general. Supplies and personal property (except to the extent provided in paragraph (b)(4) of this section) are used in the conduct of qualified research if they are used in the performance of qualified services (as defined in section 41(b)(2)(B), but without regard to the last sentence thereof) by an employee of the taxpayer (or by a person acting in a capacity similar to that of an employee of the taxpayer; see example (6) of § 1.41-2(e)(5)). Expenditures for supplies or for the use of personal property that are indirect research expenditures or general and administrative expenses do not qualify as inhouse research expenses. (i) In general. In general, amounts paid or incurred for utilities such as water, electricity, and natural gas used in the building in which qualified research is performed are treated as expenditures for general and administrative expenses. (ii) Extraordinary expenditures. To the extent the taxpayer can establish that the special character of the qualified research required additional extraordinary expenditures for utilities, the additional expenditures shall be treated as amounts paid or incurred for supplies used in the conduct of qualified research. For example, amounts paid for electricity used for general laboratory lighting are treated as general and administrative expenses, but amounts paid for electricity used in operating high energy equipment for qualified research (such as laser or nuclear research) may be treated as expenditures for supplies used in the conduct of qualified research to the extent the taxpayer can establish that the special character of the research required an extraordinary additional expenditure for electricity. (3) Right to use personal property. The determination of whether an amount is paid to or incurred for another person for the right to use personal property in the conduct of qualified research shall be made without regard to the characterization of the transaction as a lease under section 168(f)(8) (as that section read before it was repealed by the Tax Reform Act of 1986). See § 5c.168(f)(8)-1(b). (4) Use of personal property in taxable years beginning after December 31, 1985. For taxable years beginning after December 31, 1985, amounts paid or incurred for the use of personal property are not qualified research expenses, except for any amount paid or incurred to another person for the right to use (time-sharing) computers in the conduct of qualified research. The computer must be owned and operated by someone other than the taxpayer, located off the taxpayer's premises, and the taxpayer must not be the primary user of the computer. (1) Engaging in qualified research. The term "engaging in qualified research" as used in section 41(b)(2)(B) means the actual conduct of qualified research (as in the case of a scientist conducting laboratory experiments). (2) Direct supervision. The term "direct supervision" as used in section 41(b)(2)(B) means the immediate supervision (first-line management) of qualified research (as in the case of a research scientist who directly supervises laboratory experiments, but who may not actually perform experiments). "Direct supervision" does not include supervision by a higher-level manager to whom first-line managers report, even if that manager is a qualified research scientist. (ii) Persons who are directly supervising persons engaging in the actual conduct of qualified research. For example, direct support of research includes the services of a secretary for typing reports describing laboratory results derived from qualified research, of a laboratory worker for cleaning equipment used in qualified research, of a clerk for compiling research data, and of a machinist for machining a part of an experimental model used in qualified research. Direct support of research activities does not include general administrative services, or other services only indirectly of benefit to research activities. For example, services of payroll personnel in preparing salary checks of laboratory scientists, of an accountant for accounting for research expenses, of a janitor for general cleaning of a research laboratory, or of officers engaged in supervising financial or personnel matters do not qualify as direct support of research. This is true whether general administrative personnel are part of the research department or in a separate department. Direct support does not include supervision. Supervisory services constitute "qualified services" only to the extent provided in paragraph (c)(2) of this section. (1) In general. Wages paid to or incurred for an employee constitute in-house research expenses only to the extent the wages were paid or incurred for qualified services performed by the employee. If an employee has performed both qualified services and nonqualified services, only the amount of wages allocated to the performance of qualified services constitutes an in-house research expense. In the absence of another method of allocation that the taxpayer can demonstrate to be more appropriate, the amount of in-house research expense shall be determined by multiplying the total amount of wages paid to or incurred for the employee during the taxable year by the ratio of the total time actually spent by the employee in the performance of qualified services for the taxpayer to the total time spent by the employee in the performance of all services for the taxpayer during the taxable year. (2) " Substantially all ." Notwithstanding paragraph (d)(1) of this section, if substantially all of the services performed by an employee for the taxpayer during the taxable year consist of services meeting the requirements of section 41(b)(2)(B) (i) or (ii), then the term "qualified services" means all of the services performed by the employee for the taxpayer during the taxable year. Services meeting the requirements of section 41(b)(2)(B) (i) or (ii) constitute substantially all of the services performed by the employee during a taxable year only if the wages allocated (on the basis used for purposes of paragraph (d)(1) of this section) to services meeting the requirements of section 41(b)(2)(B) (i) or (ii) constitute at least 80 percent of the wages paid to or incurred by the taxpayer for the employee during the taxable year. (ii) Services which, if performed by employees of the taxpayer, would constitute qualified services within the meaning of section 41(b)(2)(B). Where the contract calls for services other than services described in this paragraph (e)(1), only 65 percent of the portion of the amount paid or incurred that is attributable to the services described in this paragraph (e)(1) is a contract research expense. (iii) Requires the taxpayer to bear the expense even if the research is not successful. If an expense is paid or incurred pursuant to an agreement under which payment is contingent on the success of the research, then the expense is considered paid for the product or result rather than the performance of the research, and the payment is not a contract research expense. The previous sentence applies only to that portion of a payment which is contingent on the success of the research. (3) " On behalf of." Qualified research is performed on behalf of the taxpayer if the taxpayer has a right to the research results. Qualified research can be performed on behalf of the taxpayer notwithstanding the fact that the taxpayer does not have exclusive rights to the results. (4) Prepaid amounts. Notwithstanding paragraph (e)(1) of this section, if any contract research expense paid or incurred during any taxable year is attributable to qualified research to be conducted after the close of such taxable year, the expense so attributable shall be treated for purposes of section 41(b)(1)(B) as paid or incurred during the period during which the qualified research is conducted. (5) Examples. The following examples illustrate provisions contained in paragraphs (e) (1) through (4) of this section. Example 1. A, a cash-method taxpayer using the calendar year as the taxable year, enters into a contract with B Corporation under which B is to perform qualified research on behalf of A. The contract requires A to pay B $300x, regardless of the success of the research. In 1982, B performs all of the research, and A makes full payment of $300x under the contract. Accordingly, during the taxable year 1982, $195x (65 percent of the payment of $300x) constitutes a contract research expense of A. Example 2. The facts are the same as in example (1), except that B performs 50 percent of the research in 1983. Of the $195x of contract research expense paid in 1982, paragraph (e)(4) of this section provides that $97.5x (50 percent of $195x) is a contract research expense for 1982 and the remaining $97.5x is contract research expense for 1983. Under this agreement A pays B $300x during 1982. Accordingly, during taxable year 1982, $195x (65 percent of $300x) of the payment constitutes a contract research expense of A. Example 4. The facts are the same as in example (3), except that A agrees to reimburse B for all expenses and agrees to pay B an additional amount of $100x, but the additional $100x is payable only if the research is successful. The research is successful and A pays B $300x during 1982. Paragraph (e)(2) of this section provides that the contingent portion of the payment is not an expense incurred for the performance of qualified research. Thus, for taxable year 1982, $130x (65 percent of the payment of $200x) constitutes a contract research expense of A. Example 5. C conducts in-house qualified research in carrying on a trade or business. In addition, C pays D Corporation, a provider of computer services, $100x to develop software to be used in analyzing the results C derives from its research. Because the software services, if performed by an employee of C, would constitute qualified services, $65x of the $100x constitutes a contract research expense of C.
Example 6. C conducts in-house qualified research in carrying on C's trade or business. In addition, C contracts with E Corporation, a provider of temporary secretarial services, for the services of a secretary for a week. The secretary spends the entire week typing reports describing laboratory results derived from C's qualified research. C pays E $400 for the secretarial service, none of which constitutes wages within the meaning of section 41(b)(2)(D). These services, if performed by employees of C, would constitute qualified services within the meaning of section 41(b)(2)(B). Thus, pursuant to paragraph (e)(1) of this section, $260 (65 percent of $400) constitutes a contract research expense of C.
Example 7. C conducts in-house qualified research in carrying on C's trade or business. In addition, C pays F, an outside accountant, $100x to keep C's books and records pertaining to the research project. The activity carried on by the accountant does not constitute qualified research as defined in section 41(d). The services performed by the accountant, if performed by an employee of C, would not constitute qualified services (as defined in section 41(b)(2)(B)). Thus, under paragraph (e)(1) of this section, no portion of the $100x constitutes a contract research expense. 26 CFR §1.41-3 Base amount for taxable years beginning on or after January 3, 2001. (a) New taxpayers. If, with respect to any credit year, the taxpayer has not been in existence for any previous taxable year, the average annual gross receipts of the taxpayer for the four taxable years preceding the credit year shall be zero. If, with respect to any credit year, the taxpayer has been in existence for at least one previous taxable year, but has not been in existence for four taxable years preceding the taxable year, then the average annual gross receipts of the taxpayer for the four taxable years preceding the credit year shall be the average annual gross receipts for the number of taxable years preceding the credit year for which the taxpayer has been in existence. (1) Short credit year. If a credit year is a short taxable year, then the base amount determined under section 41(c)(1) (but not section 41(c)(2)) shall be modified by multiplying that amount by the number of months in the short taxable year and dividing the result by 12. (2) Short taxable year preceding credit year. If one or more of the four taxable years preceding the credit year is a short taxable year, then the gross receipts for such year are deemed to be equal to the gross receipts actually derived in that year multiplied by 12 and divided by the number of months in that year. (3) Short taxable year in determining fixed-base percentage. No adjustment shall be made on account of a short taxable year to the computation of a taxpayer's fixed-base percentage. (1) In general. For purposes of section 41, gross receipts means the total amount, as determined under the taxpayer's method of accounting, derived by the taxpayer from all its activities and from all sources (e.g., revenues derived from the sale of inventory before reduction for cost of goods sold). (vi) Amounts received by a taxpayer in a taxable year that precedes the first taxable year in which the taxpayer derives more than $25,000 in gross receipts other than investment income. For purposes of this paragraph (c)(2)(vi), investment income is interest or distributions with respect to stock (other than the stock of a 20-percent owned corporation as defined in section 243(c)(2). (3) Foreign corporations. For purposes of section 41, in the case of a foreign corporation, gross receipts include only gross receipts that are effectively connected with the conduct of a trade or business within the United States, the Commonwealth of Puerto Rico, or other possessions of the United States. See section 864(c) and applicable regulations thereunder for the definition of effectively connected income. (1) In general. In computing the credit for increasing research activities for taxable years beginning after December 31, 1989, qualified research expenses and gross receipts taken into account in computing a taxpayer's fixed-base percentage and a taxpayer's base amount must be determined on a basis consistent with the definition of qualified research expenses and gross receipts for the credit year, without regard to the law in effect for the taxable years taken into account in computing the fixed-base percentage or the base amount. This consistency requirement applies even if the period for filing a claim for credit or refund has expired for any taxable year taken into account in computing the fixed-base percentage or the base amount. Example 1. (i) X, an accrual method taxpayer using the calendar year as its taxable year, incurs qualified research expenses in 2001. X wants to compute its research credit under section 41 for the tax year ending December 31, 2001. As part of the computation, X must determine its fixed-base percentage, which depends in part on X's qualified research expenses incurred during the fixed-base period, the taxable years beginning after December 31, 1983, and before January 1, 1989. (iii) For the taxable years ending December 31, 1984, and December 31, 1985, X based the amounts reported as qualified research expenses on the definition of qualified research in effect for those taxable years. The definition of qualified research changed for taxable years beginning after December 31, 1985. If X used the definition of qualified research applicable to its taxable year ending December 31, 2001, the credit year, its qualified research expenses for the taxable years ending December 31, 1984, and December 31, 1985, would be reduced to $ 80x and $ 100x, respectively. Under the consistency rule in section 41(c)(5) and paragraph (d)(1) of this section, to compute the research credit for the tax year ending December 31, 2001, X must reduce its qualified research expenses for 1984 and 1985 to reflect the change in the definition of qualified research for taxable years beginning after December 31, 1985. Thus, X's total qualified research expenses for the fixed-base period (1984-1988) to be used in computing the fixed-base percentage is $80 + 100 + 150 + 180 + 170 = $680x. Example 2. The facts are the same as in Example 1, except that, in computing its qualified research expenses for the taxable year ending December 31, 2001, X claimed that a certain type of expenditure incurred in 2001 was a qualified research expense. X's claim reflected a change in X's position, because X had not previously claimed that similar expenditures were qualified research expenses. The consistency rule requires X to adjust its qualified research expenses in computing the fixed-base percentage to include any similar expenditures not treated as qualified research expenses during the fixed-base period, regardless of whether the period for filing a claim for credit or refund has expired for any year taken into account in computing the fixed-base percentage. (e) Effective date. The rules in paragraphs (c) and (d) of this section are applicable for taxable years beginning on or after the date final regulations are published in the Federal Register . 26 CFR §1.41-4 Qualified research for expenditures paid or incurred in taxable years ending on or after December 31, 2003. (1) General rule. Research activities related to the development or improvement of a business component constitute qualified research only if the research activities meet all of the requirements of section 41(d)(1) and this section, and are not otherwise excluded under section 41(d)(3)(B) or (d)(4), or this section. (iii) Substantially all of the activities of which constitute elements of a process of experimentation that relates to a qualified purpose. (i) In general. For purposes of section 41(d) and this section, research must be undertaken for the purpose of discovering information that is technological in nature. Research is undertaken for the purpose of discovering information if it is intended to eliminate uncertainty concerning the development or improvement of a business component. Uncertainty exists if the information available to the taxpayer does not establish the capability or method for developing or improving the business component, or the appropriate design of the business component. (ii) Application of the discovering information requirement. A determination that research is undertaken for the purpose of discovering information that is technological in nature does not require the taxpayer be seeking to obtain information that exceeds, expands or refines the common knowledge of skilled professionals in the particular field of science or engineering in which the taxpayer is performing the research. In addition, a determination that research is undertaken for the purpose of discovering information that is technological in nature does not require that the taxpayer succeed in developing a new or improved business component. (iii) Patent safe harbor. For purposes of section 41(d) and paragraph (a)(3)(i) of this section, the issuance of a patent by the Patent and Trademark Office under the provisions of 35 U.S.C. 151 (other than a patent for design issued under the provisions of 35 U.S.C. 171) is conclusive evidence that a taxpayer has discovered information that is technological in nature that is intended to eliminate uncertainty concerning the development or improvement of a business component. However, the issuance of such a patent is not a precondition for credit availability. (4) Technological in nature. For purposes of section 41(d) and this section, information is technological in nature if the process of experimentation used to discover such information fundamentally relies on principles of the physical or biological sciences, engineering, or computer science. A taxpayer may employ existing technologies and may rely on existing principles of the physical or biological sciences, engineering, or computer science to satisfy this requirement. (i) In general. For purposes of section 41(d) and this section, a process of experimentation is a process designed to evaluate one or more alternatives to achieve a result where the capability or the method of achieving that result, or the appropriate design of that result, is uncertain as of the beginning of the taxpayer's research activities. A process of experimentation must fundamentally rely on the principles of the physical or biological sciences, engineering, or computer science and involves the identification of uncertainty concerning the development or improvement of a business component, the identification of one or more alternatives intended to eliminate that uncertainty, and the identification and the conduct of a process of evaluating the alternatives (through, for example, modeling, simulation, or a systematic trial and error methodology). A process of experimentation must be an evaluative process and generally should be capable of evaluating more than one alternative. A taxpayer may undertake a process of experimentation if there is no uncertainty concerning the taxpayer's capability or method of achieving the desired result so long as the appropriate design of the desired result is uncertain as of the beginning of the taxpayer's research activities. Uncertainty concerning the development or improvement of the business component (e.g., its appropriate design) does not establish that all activities undertaken to achieve that new or improved business component constitute a process of experimentation. (ii) Qualified purpose. For purposes of section 41(d) and this section, a process of experimentation is undertaken for a qualified purpose if it relates to a new or improved function, performance, reliability or quality of the business component. Research will not be treated as conducted for a qualified purpose if it relates to style, taste, cosmetic, or seasonal design factors. (6) Substantially all requirement. In order for activities to constitute qualified research under section 41(d)(1), substantially all of the activities must constitute elements of a process of experimentation that relates to a qualified purpose. The substantially all requirement of section 41(d)(1)(C) and paragraph (a)(2)(iii) of this section is satisfied only if 80 percent or more of a taxpayer's research activities, measured on a cost or other consistently applied reasonable basis (and without regard to section 1.41-2(d)(2)), constitute elements of a process of experimentation for a purpose described in section 41(d)(3). Accordingly, if 80 percent (or more) of a taxpayer's research activities with respect to a business component constitute elements of a process of experimentation for a purpose described in section 41(d)(3), the substantially all requirement is satisfied even if the remaining 20 percent (or less) of a taxpayer's research activities with respect to the business component do not constitute elements of a process of experimentation for a purpose described in section 41(d)(3), so long as these remaining research activities satisfy the requirements of section 41(d)(1)(A) and are not otherwise excluded under section 41(d)(4). The substantially all requirement is applied separately to each business component. (7) Use of computers and information technology. The employment of computers or information technology, or the reliance on principles of computer science or information technology to store, collect, manipulate, translate, disseminate, produce, distribute, or process data or information, and similar uses of computers and information technology does not itself establish that qualified research has been undertaken. Example 1. (i) Facts. X is engaged in the business of developing and manufacturing widgets. X wants to change the color of its blue widget to green. X obtains from various suppliers several different shades of green paint. X paints several sample widgets, and surveys X's customers to determine which shade of green X's customers prefer. (ii) Conclusion. X's activities to change the color of its blue widget to green are not qualified research under section 41(d)(1) and paragraph (a)(5) of this section because substantially all of X's activities are not undertaken for a qualified purpose. All of X's research activities are related to style, taste, cosmetic, or seasonal design factors. Example 2. (i) Facts. The facts are the same as in Example 1, except that X chooses one of the green paints. X obtains samples of the green paint from a supplier and determines that X must modify its painting process to accommodate the green paint because the green paint has different characteristics from other paints X has used. X obtains detailed data on the green paint from X's paint supplier. X also consults with the manufacturer of X's paint spraying machines. The manufacturer informs X that X must acquire a new nozzle that operates with the green paint X wants to use. X tests the nozzles to ensure that they work as specified by the manufacturer of the paint spraying machines. (ii) Conclusion. X's activities to modify its painting process are a separate business component under section 41(d)(2)(A). X's activities to modify its painting process to change the color of its blue widget to green are not qualified research under section 41(d)(1) and paragraph (a)(5) of this section. X did not conduct a process of evaluating alternatives in order to eliminate uncertainty regarding the modification of its painting process. Rather, the manufacturer of the paint machines eliminated X's uncertainty regarding the modification of its painting process. X's activities to test the nozzles to determine if the nozzles work as specified by the manufacturer of the paint spraying machines are in the nature of routine or ordinary testing or inspection for quality control. Example 3. (i) Facts. X is engaged in the business of manufacturing food products and currently manufactures a large-shred version of a product. X seeks to modify its current production line to permit it to manufacture both a large-shred version and a fine-shred version of one of its food products. A smaller, thinner shredding blade capable of producing a fine-shred version of the food product, however, is not commercially available. Thus, X must develop a new shredding blade that can be fitted onto its current production line. X is uncertain concerning the design of the new shredding blade, because the material used in its existing blade breaks when machined into smaller, thinner blades. X engages in a systematic trial and error process of analyzing various blade designs and materials to determine whether the new shredding blade must be constructed of a different material from that of its existing shredding blade and, if so, what material will best meet X's functional requirements. (ii) Conclusion. X's activities to modify its current production line by developing the new shredding blade meet the requirements of qualified research as set forth in paragraph (a)(2) of this section. Substantially all of X's activities constitute elements of a process of experimentation because X evaluated alternatives to achieve a result where the method of achieving that result, and the appropriate design of that result, were uncertain as of the beginning of the taxpayer's research activities. X identified uncertainties related to the development of a business component, and identified alternatives intended to eliminate these uncertainties. Furthermore, X's process of evaluating identified alternatives was technological in nature, and was undertaken to eliminate the uncertainties. Example 4. (i) Facts. X is in the business of designing, developing and manufacturing automobiles. In response to government-mandated fuel economy requirements, X seeks to update its current model vehicle and undertakes to improve aerodynamics by lowering the hood of its current model vehicle. X determines, however, that lowering the hood changes the air flow under the hood, which changes the rate at which air enters the engine through the air intake system, and which reduces the functionality of the cooling system. X's engineers are uncertain how to design a lower hood to obtain the increased fuel economy, while maintaining the necessary air flow under the hood. X designs, models, simulates, tests, refines, and re-tests several alternative designs for the hood and associated proposed modifications to both the air intake system and cooling system. This process enables X to eliminate the uncertainties related to the integrated design of the hood, air intake system, and cooling system, and such activities constitute eighty-five percent of X's total activities to update its current model vehicle. X then engages in additional activities that do not involve a process of evaluating alternatives in order to eliminate uncertainties. The additional activities constitute only fifteen percent of X's total activities to update its current model vehicle. (ii) Conclusion. In general, if eighty percent or more of a taxpayer's research activities measured on a cost or other consistently applied reasonable basis constitute elements of a process of experimentation for a qualified purpose under section 41(d)(3)(A) and paragraph (a)(5)(ii) of this section, then the substantially all requirement of section 41(d)(1)(C) and paragraph (a)(2)(iii) of this section is satisfied. Substantially all of X's activities constitute elements of a process of experimentation because X evaluated alternatives to achieve a result where the method of achieving that result, and the appropriate design of that result, were uncertain as of the beginning of X's research activities. X identified uncertainties related to the improvement of a business component and identified alternatives intended to eliminate these uncertainties. Furthermore, X's process of evaluating the identified alternatives was technological in nature and was undertaken to eliminate the uncertainties. Because substantially all (in this example, eighty-five percent) of X's activities to update its current model vehicle constitute elements of a process of experimentation for a qualified purpose described in section 41(d)(3)(A), all of X's activities to update its current model vehicle meet the requirements of qualified research as set forth in paragraph (a)(2) of this section, provided that X's remaining activities (in this example, fifteen percent of X's total activities) satisfy the requirements of section 41(d)(1)(A) and are not otherwise excluded under section 41(d)(4). (1) In general. The requirements for qualified research in section 41(d)(1) and paragraph (a) of this section, must be applied separately to each business component, as defined in section 41(d)(2)(B). In cases involving development of both a product and a manufacturing or other commercial production process for the product, research activities relating to development of the process are not qualified research unless the requirements of section 41(d) and this section are met for the research activities relating to the process without taking into account the research activities relating to development of the product. Similarly, research activities relating to development of the product are not qualified research unless the requirements of section 41(d) and this section are met for the research activities relating to the product without taking into account the research activities relating to development of the manufacturing or other commercial production process. (2) Shrinking-back rule. The requirements of section 41(d) and paragraph (a) of this section are to be applied first at the level of the discrete business component, that is, the product, process, computer software, technique, formula, or invention to be held for sale, lease, or license, or used by the taxpayer in a trade or business of the taxpayer. If these requirements are not met at that level, then they apply at the most significant subset of elements of the product, process, computer software, technique, formula, or invention to be held for sale, lease, or license. This shrinking back of the product is to continue until either a subset of elements of the product that satisfies the requirements is reached, or the most basic element of the product is reached and such element fails to satisfy the test. This shrinking-back rule is applied only if a taxpayer does not satisfy the requirements of section 41(d)(1) and paragraph (a)(2) of this section with respect to the overall business component. The shrinking-back rule is not itself applied as a reason to exclude research activities from credit eligibility. Example. X, a motorcycle engine builder, develops a new carburetor for use in a motorcycle engine. X also modifies an existing engine design for use with the new carburetor. Under the shrinking-back rule, the requirements of section 41(d)(1) and paragraph (a) of this section are applied first to the engine. If the modifications to the engine when viewed as a whole, including the development of the new carburetor, do not satisfy the requirements of section 41(d)(1) and paragraph (a) of this section, those requirements are applied to the next most significant subset of elements of the business component. Assuming that the next most significant subset of elements of the engine is the carburetor, the research activities in developing the new carburetor may constitute qualified research within the meaning of section 41(d)(1) and paragraph (a) of this section. (1) In general. Qualified research does not include any activity described in section 41(d)(4) and paragraph (c) of this section. (i) In general. Activities conducted after the beginning of commercial production of a business component are not qualified research. Activities are conducted after the beginning of commercial production of a business component if such activities are conducted after the component is developed to the point where it is ready for commercial sale or use, or meets the basic functional and economic requirements of the taxpayer for the component's sale or use. (iii) Activities related to production process or technique. In cases involving development of both a product and a manufacturing or other commercial production process for the product, the exclusion described in section 41(d)(4)(A) and paragraphs (c)(2)(i) and (ii) of this section applies separately for the activities relating to the development of the product and the activities relating to the development of the process. For example, even after a product meets the taxpayer's basic functional and economic requirements, activities relating to the development of the manufacturing process still may constitute qualified research, provided that the development of the process itself separately satisfies the requirements of section 41(d) and this section, and the activities are conducted before the process meets the taxpayer's basic functional and economic requirements or is ready for commercial use. (iv) Clinical testing. Clinical testing of a pharmaceutical product prior to its commercial production in the United States is not treated as occurring after the beginning of commercial production even if the product is commercially available in other countries. Additional clinical testing of a pharmaceutical product after a product has been approved for a specific therapeutic use by the Food and Drug Administration and is ready for commercial production and sale is not treated as occurring after the beginning of commercial production if such clinical testing is undertaken to establish new functional uses, characteristics, indications, combinations, dosages, or delivery forms for the product. A functional use, characteristic, indication, combination, dosage, or delivery form shall be considered new only if such functional use, characteristic, indication, combination, dosage, or delivery form must be approved by the Food and Drug Administration. (3) Adaptation of existing business components. Activities relating to adapting an existing business component to a particular customer's requirement or need are not qualified research. This exclusion does not apply merely because a business component is intended for a specific customer. (4) Duplication of existing business component. Activities relating to reproducing an existing business component (in whole or in part) from a physical examination of the business component itself or from plans, blueprints, detailed specifications, or publicly available information about the business component are not qualified research. This exclusion does not apply merely because the taxpayer examines an existing business component in the course of developing its own business component. (i) In general. Research conducted outside the United States, as defined in section 7701(a)(9), the Commonwealth of Puerto Rico and other possessions of the United States does not constitute qualified research. (ii) Apportionment of in-house research expenses. In-house research expenses paid or incurred for qualified services performed both in the United States, the Commonwealth of Puerto Rico and other possessions of the United States and outside the United States, the Commonwealth of Puerto Rico and other possessions of the United States must be apportioned between the services performed in the United States, the Commonwealth of Puerto Rico and other possessions of the United States and the services performed outside the United States, the Commonwealth of Puerto Rico and other possessions of the United States. Only those in-house research expenses apportioned to the services performed within the United States, the Commonwealth of Puerto Rico and other possessions of the United States are eligible to be treated as qualified research expenses, unless the in-house research expenses are wages and the 80 percent rule of § 1.41-2(d)(2) applies. (iii) Apportionment of contract research expenses. If contract research is performed partly in the United States, the Commonwealth of Puerto Rico and other possessions of the United States and partly outside the United States, the Commonwealth of Puerto Rico and other possessions of the United States, only 65 percent (or 75 percent in the case of amounts paid to qualified research consortia) of the portion of the contract amount that is attributable to the research activity performed in the United States, the Commonwealth of Puerto Rico and other possessions of the United States may qualify as a contract research expense (even if 80 percent or more of the contract amount is for research performed in the United States, the Commonwealth of Puerto Rico and other possessions of the United States). (8) Research in the social sciences, etc. Qualified research does not include research in the social sciences (including economics, business management, and behavioral sciences), arts, or humanities. (9) Research funded by any grant, contract, or otherwise. Qualified research does not include any research to the extent funded by any grant, contract, or otherwise by another person (or governmental entity). To determine the extent to which research is so funded, § 1.41-4A(d) applies. Example 1. (i) Facts. X, a tire manufacturer, develops a new material to use in its tires. X conducts research to determine the changes that will be necessary for X to modify its existing manufacturing processes to manufacture the new tire. X determines that the new tire material retains heat for a longer period of time than the materials X currently uses for tires, and, as a result, the new tire material adheres to the manufacturing equipment during tread cooling. X evaluates several alternatives for processing the treads at cooler temperatures to address this problem, including a new type of belt for its manufacturing equipment to be used in tread cooling. Such a belt is not commercially available. Because X is uncertain of the belt design, X develops and conducts sophisticated engineering tests on several alternative designs for a new type of belt to be used in tread cooling until X successfully achieves a design that meets X's requirements. X then manufactures a set of belts for its production equipment, installs the belts, and tests the belts to make sure they were manufactured correctly. (ii) Conclusion. X's research with respect to the design of the new belts to be used in its manufacturing of the new tire may be qualified research under section 41(d)(1) and paragraph (a) of this section. However, X's expenses to implement the new belts, including the costs to manufacture, install, and test the belts were incurred after the belts met the taxpayer's functional and economic requirements and are excluded as research after commercial production under section 41(d)(4)(A) and paragraph (c)(2) of this section. Example 2. (i) Facts. For several years, X has manufactured and sold a particular kind of widget. X initiates a new research project to develop a new or improved widget. (ii) Conclusion. X's activities to develop a new or improved widget are not excluded from the definition of qualified research under section 41(d)(4)(A) and paragraph (c)(2) of this section. X's activities relating to the development of a new or improved widget constitute a new research project to develop a new business component. X's research activities relating to the development of the new or improved widget, a new business component, are not considered to be activities conducted after the beginning of commercial production under section 41(d)(4)(A) and paragraph (c)(2) of this section. Example 3. (i) Facts. X, a computer software development firm, owns all substantial rights in a general ledger accounting software core program that X markets and licenses to customers. X incurs expenditures in adapting the core software program to the requirements of C, one of X's customers. (ii) Conclusion. Because X's activities represent activities to adapt an existing software program to a particular customer's requirement or need, X's activities are excluded from the definition of qualified research under section 41(d)(4)(B) and paragraph (c)(3) of this section. Example 4. (i) Facts. The facts are the same as in Example 3, except that C pays X to adapt the core software program to C's requirements. (ii) Conclusion. Because X's activities are excluded from the definition of qualified research under section 41(d)(4)(B) and paragraph (c)(3) of this section, C's payments to X are not for qualified research and are not considered to be contract research expenses under section 41(b)(3)(A). Example 5. (i) Facts. The facts are the same as in Example 3, except that C's own employees adapt the core software program to C's requirements. (ii) Conclusion. Because C's employees' activities to adapt the core software program to C's requirements are excluded from the definition of qualified research under section 41(d)(4)(B) and paragraph (c)(3) of this section, the wages C paid to its employees do not constitute in-house research expenses under section 41(b)(2)(A). Example 6. (i) Facts. X manufacturers and sells rail cars. Because rail cars have numerous specifications related to performance, reliability and quality, rail car designs are subject to extensive, complex testing in the scientific or laboratory sense. B orders passenger rail cars from X. B's rail car requirements differ from those of X's other existing customers only in that B wants fewer seats in its passenger cars and a higher quality seating material and carpet that are commercially available. X manufactures rail cars meeting B's requirements. (ii) Conclusion. X's activities to manufacture rail cars for B are excluded from the definition of qualified research. The rail car sold to B was not a new business component, but merely an adaptation of an existing business component that did not require a process of experimentation. Thus, X's activities to manufacture rail cars for B are excluded from the definition of qualified research under section 41(d)(4)(B) and paragraph (c)(3) of this section because X's activities represent activities to adapt an existing business component to a particular customer's requirement or need. Example 7. (i) Facts. X, a manufacturer, undertakes to create a manufacturing process for a new valve design. X determines that it requires a specialized type of robotic equipment to use in the manufacturing process for its new valves. Such robotic equipment is not commercially available, and X, therefore, purchases the existing robotic equipment for the purpose of modifying it to meet its needs. X's engineers identify uncertainty that is technological in nature concerning how to modify the existing robotic equipment to meet its needs. X's engineers develop several alternative designs, and conduct experiments using modeling and simulation in modifying the robotic equipment and conduct extensive scientific and laboratory testing of design alternatives. As a result of this process, X's engineers develop a design for the robotic equipment that meets X's needs. X constructs and installs the modified robotic equipment on its manufacturing process. (ii) Conclusion. X's research activities to determine how to modify X's robotic equipment for its manufacturing process are not excluded from the definition of qualified research under section 41(d)(4)(B) and paragraph (c)(3) of this section, provided that X's research activities satisfy the requirements of section 41(d)(1). Example 8. (i) Facts. An existing gasoline additive is manufactured by Y using three ingredients, A, B, and C. X seeks to develop and manufacture its own gasoline additive that appears and functions in a manner similar to Y's additive. To develop its own additive, X first inspects the composition of Y's additive, and uses knowledge gained from the inspection to reproduce A and B in the laboratory. Any differences between ingredients A and B that are used in Y's additive and those reproduced by X are insignificant and are not material to the viability, effectiveness, or cost of A and B. X desires to use with A and B an ingredient that has a materially lower cost than ingredient C. Accordingly, X engages in a process of experimentation to develop, analyze and test potential alternative formulations of the additive. (ii) Conclusion. X's activities in analyzing and reproducing ingredients A and B involve duplication of existing business components and are excluded from the definition of qualified research under section 41(d)(4)(C) and paragraph (c)(4) of this section. X's experimentation activities to develop potential alternative formulations of the additive do not involve duplication of an existing business component and are not excluded from the definition of qualified research under section 41(d)(4)(C) and paragraph (c)(4) of this section. Example 9. (i) Facts. X, a manufacturing corporation, undertakes to restructure its manufacturing organization. X organizes a team to design an organizational structure that will improve X's business operations. The team includes X's employees as well as outside management consultants. The team studies current operations, interviews X's employees, and studies the structure of other manufacturing facilities to determine appropriate modifications to X's current business operations. The team develops a recommendation of proposed modifications which it presents to X's management. X's management approves the team's recommendation and begins to implement the proposed modifications. (ii) Conclusion. X's activities in developing and implementing the new management structure are excluded from the definition of qualified research under section 41(d)(4)(D) and paragraph (c)(5) of this section. Qualified research does not include activities relating to management functions or techniques including management organization plans and management-based changes in production processes. Example 10. (i) Facts. X, an insurance company, develops a new life insurance product. In the course of developing the product, X engages in research with respect to the effect of pricing and tax consequences on demand for the product, the expected volatility of interest rates, and the expected mortality rates (based on published data and prior insurance claims). Conclusion. X's activities related to the new product represent research in the social sciences (including economics and business management) and are thus excluded from the definition of qualified research under section 41(d)(4)(G) and paragraph (c)(8) of this section. (d) Recordkeeping for the research credit. A taxpayer claiming a credit under section 41 must retain records in sufficiently usable form and detail to substantiate that the expenditures claimed are eligible for the credit. For the rules governing record retention, see § 1.6001-1. To facilitate compliance and administration, the IRS and taxpayers may agree to guidelines for the keeping of specific records for purposes of substantiating research credits. (e) Effective dates. This section is applicable for taxable years ending on or after December 31, 2003. 26 CFR §1.41-4a Qualified research for taxable years beginning before January 1, 1986. (a) General rule. Except as otherwise provided in section 30(d) (as that section read before amendment by the Tax Reform Act of 1986) and in this section, the term "qualified research" means research, expenditures for which would be research and experimental expenditures within the meaning of section 174. Expenditures that are ineligible for the section 174 deduction elections are not expenditures for qualified research. For example, expenditures for the acquisition of land or depreciable property used in research, and mineral exploration costs described in section 174(d), are not expenditures for qualified research. (1) In-house research. In-house research conducted outside the United States (as defined in section 7701(a)(9)) cannot constitute qualified research. Thus, wages paid to an employee scientist for services performed in a laboratory in the United States and in a test station in Antarctica must be apportioned between the services performed within the United States and the services performed outside the United States, and only the wages apportioned to the services conducted within the United States are qualified research expenses unless the 80 percent rule of § 1.41-2(d)(2) applies. (2) Contract research. If contract research is performed partly within the United States and partly without, only 65 percent of the portion of the contract amount that is attributable to the research performed within the United States can qualify as contract research expense (even if 80 percent or more of the contract amount was for research performed in the United States). (c) Social sciences or humanities. Qualified research does not include research in the social sciences or humanities. For purposes of section 30(d)(2) (as that section read before amendment by the Tax Reform Act of 1986) and of this section, the phrase "research in the social sciences or humanities" encompasses all areas of research other than research in a field of laboratory science (such as physics or biochemistry), engineering or technology. Examples of research in the social sciences or humanities include the development of a new life insurance contract, a new economic model or theory, a new accounting procedure or a new cookbook. (1) In general. Research does not constitute qualified research to the extent it is funded by any grant, contract, or otherwise by another person (including any governmental entity). All agreements (not only research contracts) entered into between the taxpayer performing the research and other persons shall be considered in determining the extent to which the research is funded. Amounts payable under any agreement that are contingent on the success of the research and thus considered to be paid for the product or result of the research (see § 1.41-2(e)(2)) are not treated as funding. For special rules regarding funding between commonly controlled businesses, see § 1.41-6(e). (2) Research in which taxpayer retains no rights. If a taxpayer performing research for another person retains no substantial rights in research under the agreement providing for the research, the research is treated as fully funded for purposes of section 41(d)(4)(H), and no expenses paid or incurred by the taxpayer in performing the research are qualified research expenses. For example, if the taxpayer performs research under an agreement that confers on another person the exclusive right to exploit the results of the research, the taxpayer is not performing qualified research because the research is treated as fully funded under this paragraph (d)(2). Incidental benefits to the taxpayer from performance of the research (for example, increased experience in a field of research) do not constitute substantial rights in the research. If a taxpayer performing research for another person retains no substantial rights in the research and if the payments to the researcher are contingent upon the success of the research, neither the performer nor the person paying for the research is entitled to treat any portion of the expenditures as qualified research expenditures. (i) In general. If a taxpayer performing research for another person retains substantial rights in the research under the agreement providing for the research, the research is funded to the extent of the payments (and fair market value of any property) to which the taxpayer becomes entitled by performing the research. A taxpayer does not retain substantial rights in the research if the taxpayer must pay for the right to use the results of the research. Except as otherwise provided in paragraph (d)(3)(ii) of this section, the taxpayer shall reduce the amount paid or incurred by the taxpayer for the research that would, but for section 41(d)(4)(H), constitute qualified research expenses of the taxpayer by the amount of funding determined under the preceding sentence. (C) That the otherwise qualified research expenses (that is, the expenses which would be qualified research expenses if there were no funding) exceed 65 percent of the funding, then the taxpayer may allocate the funding pro rata to nonqualified and otherwise qualified research expenses, rather than allocating it 100 percent to otherwise qualified research expenses (as provided in paragraph (d)(3)(i) of this section). In no event, however, shall less than 65 percent of the funding be applied against the otherwise qualified research expenses. (iii) Project-by-project determination. The provisions of this paragraph (d)(3) shall be applied separately to each research project undertaken by the taxpayer. (4) Independent research and development under the Federal Acquisition Regulations System and similar provisions. The Federal Acquisition Regulations System and similar rules and regulations relating to contracts (fixed price, cost plus, etc.) with government entities provide for allocation of certain "independent research and development costs" and "bid and proposal costs" of a contractor to contracts entered into with that contractor. In general, any "independent research and development costs" and "bid and proposal costs" paid to a taxpayer by reason of such a contract shall not be treated as funding the underlying research activities except to the extent the "independent research and development costs" and "bid and proposal costs" are properly severable from the contract. See § 1.451-3(e); see also section 804(d)(2) of the Tax Reform Act of 1986. (5) Funding determinable only in subsequent taxable year. If at the time the taxpayer files its return for a taxable year, it is impossible to determine to what extent particular research performed by the taxpayer during that year may be funded, then the taxpayer shall treat the research as completely funded for purposes of completing that return. When the amount of funding is finally determined, the taxpayer should amend the return and any interim returns to reflect the proper amount of funding. (6) Examples. The following examples illustrate the application of the principles contained in this paragraph. If B has no rights to the research, B is fully funded. Alternatively, assume that B retains the right to use the results of the research in carrying on B's business. Of B's otherwise qualified research expenses of $126x + $26x), $120x is treated as funded by A. Thus $6x ($126x - $120x) is treated as a qualified research expense of B. However, if B establishes the facts required under paragraph (d)(3) of this section, B can allocate the funding pro rata to nonqualified and otherwise qualified research expenses. Thus $100.8x ($120x ($126x/$150x)) would be allocated to otherwise qualified research expenses. B's qualified research expenses would be $25.2x ($126x - $100.8x). For purposes of the following examples (2), (3) and (4) assume that B retains substantial rights to use the results of the research in carrying on B's business. Example 2. The facts are the same as in example (1) (assuming that B retains the right to use the results of the research in carrying on B's business) except that, although A makes full payment of $120x during 1982, B does not perform the research or pay the associated expenses until 1983. The computations are unchanged. However, B's qualified research expenses determined in example (1) are qualified research expenses during 1983. Example 3. The facts are the same as in example (1) (assuming that B retains the right to use the results of the research in carrying on B's business) except that, although B performs the research and pays the associated expenses during 1982, A does not pay the $120x until 1983. The computations are unchanged and the amount determined in example (1) is a qualified research expense of B during 1982. Example 4. The facts are the same as in example (1) (assuming that B retains the right to use the results of the research in carrying on B's business) except that, instead of agreeing to pay B $120x, A agrees to pay $100x regardless of the outcome and an additional $20x only if B's research produces a useful product. B's research produces a useful product and A pays B $120x during 1982. The $20x payment that is conditional on the success of the research is not treated as funding. Assuming that B establishes to the satisfaction of the district director the actual research expenses, B can allocate the funding to nonqualified and otherwise qualified research expenses. Thus $84x ($100x ($126x/$150x)) would be allocated to otherwise qualified research expenses. B's qualified research expenses would be $42x ($126x - $84x). Example 5. C enters into a contract with D, a cash-method taxpayer using the calendar year as its taxable year, under which D is to perform research in which both C and D will have substantial rights. C agrees to reimburse D for 80 percent of D's expenses for the research. D performs part of the research in 1982 and the rest in 1983. At the time that D files its return for 1982, D is unable to determine the extent to which the research is funded under the provisions of this paragraph. Under these circumstances, D may not treat any of the expenses paid by D for this research during 1982 as qualified research expenses on its 1982 return. When the project is complete and D can determine the extent of funding, D should file an amended return for 1982 to take into account any qualified research expense for 1982. 26 CFR §1.41-5a Basic research for taxable years beginning before January 1, 1987. (a) In general. The amount expended for basic research within the meaning of section 30(e) (before amended by the Tax Reform Act of 1986) equals the sum of money plus the taxpayer's basis in tangible property (other than land) transferred for use in the performance of basic research. (b) Trade or business requirement. Any amount treated as a contract research expense under section 30(e) (before amendment by the Tax Reform Act of 1986) shall be deemed to have been paid or incurred in carrying on a trade or business, if the corporation that paid or incurred the expenses is actually engaged in carrying on some trade or business. (1) In general. If any basic research expense paid or incurred during any taxable year is attributable to research to be conducted after the close of such taxable year, the expense so attributable shall be treated for purposes of section 30(b)(1)(B) (before amendment by the Tax Reform Act of 1986) as paid or incurred during the period in which the basic research is conducted. (2) Transfers of property. In the case of transfers of property to be used in the performance of basic research, the research in which that property is to be used shall be considered to be conducted ratably over a period beginning on the day the property is first so used and continuing for the number of years provided with respect to property of that class under section 168(c)(2) (before amendment by the Tax Reform Act of 1986). For example, if an item of property which is 3-year property under section 168(c) is transferred to a university for basic research on January 12, 1983, and is first so used by the university on March 1, 1983, then the research in which that property is used is considered to be conducted ratably from March 1, 1983, through February 28, 1986. (1) In general. A written research agreement must be entered into prior to the performance of the basic research. (i) In general. A written research agreement between a corporation and a qualified organization (including a qualified fund) entered into after June 30, 1983, shall provide that the organization shall inform the corporation within 60 days after the close of each taxable year of the corporation what amount of funds provided by the corporation pursuant to the agreement was expended on basic research during the taxable year of the corporation. In determining amounts expended on basic research, the qualified organization shall take into account the exclusions specified in section 30(e)(3) (before amendment by the Tax Reform Act of 1986) and in paragraph (e) of this section. (ii) Transfers of property. In the case of transfers of property to be used in basic research, the agreement shall provide that substantially all use of the property is to be for basic research, as defined in section 30(e)(3) (before amendment by the Tax Reform Act of 1986). (3) Agreement between a qualified fund and a qualified educational organization after June 30, 1983. A written research agreement between a qualified fund and a qualified educational organization (see section 30(e)(4)(B)(iii) (before amendment by the Tax Reform Act of 1986)) entered into after June 30, 1983, shall provide that the qualified educational organization shall furnish sufficient information to the qualified fund to enable the qualified fund to comply with the written research agreements it has entered into with grantor corporations, including the requirement set forth in paragraph (d)(2) of this section. (1) Research conducted outside the United States. If a taxpayer pays or incurs an amount for basic research to be performed partly within the United States and partly without, only 65 percent of the portion of the amount attributable to research performed within the United States can be treated as a contract research expense (even if 80 percent or more of the contract amount was for basic research performed in the United States). (2) Research in the social sciences or humanities. Basic research does not include research in the social sciences or humanities, within the meaning of § 1.41-4A(c). (6) Specifies the date on which the election is to become effective. If an election to be treated as a qualified fund is filed before February 1, 1982, the election may be made effective as of any date after June 30, 1981, and before January 1, 1986. If an election is filed on or after February 1, 1982, the election may be made effective as of any date on or after the date on which the election is filed. 26 CFR §1.41-6 Aggregation of expenditures. (ii) Allocate the group credit among the members of the group in the manner described in paragraph (c) of this section. (2) Consolidated groups. For special rules relating to consolidated groups, see paragraph (d) of this section. (i) Consolidated group has the meaning set forth in § 1.1502-1(h). (ii) Controlled group and group mean a controlled group of corporations, as defined in section 41(f)(5), or a group of trades or businesses under common control. For rules for determining whether trades or businesses are under common control, see § 1.52-1 (b) through (g). (iii) Credit year means the taxable year for which the member is computing the credit. (iv) Group credit means the research credit (if any) allowable to a controlled group. (v) Trade or business means a sole proprietorship, a partnership, a trust, an estate, or a corporation that is carrying on a trade or business (within the meaning of section 162). Any corporation that is a member of a commonly controlled group shall be deemed to be carrying on a trade or business if any other member of that group is carrying on any trade or business. (1) In general. All members of a controlled group are treated as a single taxpayer for purposes of computing the research credit. The group credit is compute2d by applying all of the section 41 computational rules on an aggregate basis. All members of a controlled group must use the same method of computation: The method described in section 41(a)(1), the alternative incremental credit (AIRC) method described in section 41(c)(4) (available for years beginning on or before December 31, 2008), or the alternative simplified credit (ASC) method described in section 41(c)(5), in computing the group credit for a credit year. (B) There were fewer than three taxable years beginning after December 31, 1983, and before January 1, 1989, in which a member of the group had gross receipts and either the same member or another member also had QREs. Example. A, B, and C, all of which are calendar year taxpayers, are members of a controlled group. During the 1983 taxable year, A had QREs, but no gross receipts; B had gross receipts, but no QREs; and C had no QREs or gross receipts. The 1984 taxable year was the first taxable year for which each of A, B, and C had both QREs and gross receipts. A, B, and C had both QREs and gross receipts in 1985, 1986, 1987, and 1988. Because the first taxable year for which each of A, B, and C had both QREs and gross receipts began after December 31, 1983, each of A, B, and C is a start-up company under section 41(c)(3)(B)(i) and each is a start-up company for purposes of computing the stand-alone entity credit. During the 1983 taxable year, at least one member of the group, A, had QREs and at least one member of the group, B, had gross receipts, thus, the group had both QREs and gross receipts in 1983. Therefore, the controlled group is not a start-up company because the first taxable year for which the group had both QREs and gross receipts did not begin after December 31, 1983, and there were not fewer than three taxable years beginning after December 31, 1983, and before January 1, 1989, in which a member of the group had gross receipts and QREs. (iii) First taxable year after December 31, 1993, for which the controlled group had QREs. In the case of a controlled group that is treated as a start-up company under section 41(c)(3)(B)(i) and paragraph (b)(2)(i) of this section, for purposes of determining the group's fixed-base percentage under section 41(c)(3)(B)(ii), the first taxable year after December 31, 1993, for which the group has QREs is the first taxable year in which at least one member of the group has QREs. Example. D, E, and F, all of which are calendar year taxpayers, are members of a controlled group. The group is treated as a start-up company under section 41(c)(3)(B)(i) and paragraph (b)(2)(i) of this section. The first taxable year after December 31, 1993, for which D had QREs was 1994. The first taxable year after December 31, 1993, for which E had QREs was 1995. The first taxable year after December 31, 1993, for which F had QREs was 1996. Because the 1994 taxable year was the first taxable year after December 31, 1993, for which at least one member of the group, D, had QREs, for purposes of determining the group's fixed-based percentage under section 41(c)(3)(B)(ii), the 1994 taxable year was the first taxable year after December 31, 1993, for which the group had QREs. (2) Stand-alone entity credit. The term stand-alone entity credit means the research credit (if any) that would be allowable to a member of a controlled group if the credit were computed as if section 41(f)(1) did not apply, except that the member must apply the rules provided in § 1.41-6(d)(1) (relating to consolidated groups) and § 1.41-6(i) (relating to intra-group transactions). Each member's stand-alone entity credit for any credit year must be computed under whichever available method (the method described in section 41(a)(1), the method described in section 41(c)(4), or the method described in section 41(c)(5)) results in the greatest stand-alone entity credit for that member, without regard to the method used to compute the group credit. (d) Special rules for consolidated groups -(1) In general. For purposes of applying paragraph (c) of this section, a consolidated group whose members are members of a controlled group is treated as a single member of the controlled group and a single stand-alone entity credit is computed for the consolidated group. (2) Start-up company status. A consolidated group's status as a start-up company and the first taxable year after December 31, 1993, for which a consolidated group has QREs are determined in accordance with the principles of paragraph (b)(2) of this section. (3) Special rule for allocation of group credit among consolidated group members. The portion of the group credit that is allocated to a consolidated group is allocated to the members of the consolidated group in accordance with the principles of paragraph (c) of this section. However, for this purpose, the stand-alone entity credit of a member of a consolidated group is computed without regard to section 41(f)(1), but with regard to paragraph (i) of this section. (e) Examples. The following examples illustrate the provisions of this section. Unless otherwise stated, no members of a controlled group are members of a consolidated group, no member of the group made any basic research payments or paid or incurred any amounts to an energy research consortium, and the group has not made an AIRC election (except as provided in Example 6 ) or an ASC election (except as provided in Example 7 ). (A) In general. The research credit allowable to the group is computed as if A, B, and C were one taxpayer. The group credit is equal to 20 percent of the excess of the group's aggregate credit year QREs ($330x) over the group's base amount ($170x). The group credit is 0.20 x ($330x-$170x), which equals $32x. ( 1 ) Computation. The group's base amount equals the greater of: The group's fixed-base percentage (10 percent) multiplied by the group's aggregate average annual gross receipts for the 4 taxable years preceding the credit year ($1,700x), or the group's minimum base amount ($165x). The group's base amount, therefore, is $170x, which is the greater of: 0.10 x $1,700x, which equals $170x, or $165x. ( 2 ) Group's minimum base amount. The group's minimum base amount is 50 percent of the group's aggregate credit year QREs. The group's minimum base amount is 0.50 x $330x, which equals $165x. ( 3 ) Group's fixed-base percentage. The group's fixed-base percentage is the lesser of: The ratio that the group's aggregate QREs for the taxable years beginning after December 31, 1983, and before January 1, 1989, bear to the group's aggregate gross receipts for the same period, or 16 percent (the statutory maximum). The group's fixed-base percentage, therefore, is 10 percent, which is the lesser of: $150x/$1,500x, which equals 10 percent, or 16 percent. (A) In general. The research credit allowable to the group is computed as if D, E, F, and G were one taxpayer. The group credit is equal to 20 percent of the excess of the group's aggregate credit year QREs ($675x) over the group's base amount ($527x). The group credit is 0.20 x ($675x-$527x), which equals $29.76x. ( 1 ) Computation. The group's base amount equals the greater of: The group's fixed-base percentage (3.10 percent) multiplied by the group's aggregate average annual gross receipts for the 4 taxable years preceding the credit year ($17,000x), or the group's minimum base amount ($337.50x). The group's base amount, therefore, is $527x, which is the greater of: 0.031 x $17,000x, which equals $527x, or $337.50x. ( 2 ) Group's minimum base amount. The group's minimum base amount is 50 percent of the group's aggregate credit year QREs. The group's minimum base amount is 0.50 x $675x, which equals $337.50x. ( 3 ) Group's fixed-base percentage. The group's fixed-base percentage is the lesser of: The ratio that the group's aggregate QREs for the taxable years beginning after December 31, 1983, and before January 1, 1989, bear to the group's aggregate gross receipts for the same period, or 16 percent (the statutory maximum). The group's fixed-base percentage, therefore, is 3.10 percent, which is the lesser of: $650x/$21,000x, which equals 3.10 percent, or 16 percent. (i) Facts. The facts are the same as in Example 2 , except that D and E file a consolidated return. (A) In general. For purposes of allocating the controlled group's research credit of $29.76x among the members of the controlled group, D and E are treated as a single member of the controlled group. (B) Computation of stand-alone entity credits. The stand-alone entity credit for the consolidated group is computed by treating D and E as a single entity. Under paragraph (c)(2) of this section, the stand-alone entity credit for each member must be computed using the method that results in the greater stand-alone entity credit for that member. The stand-alone entity credit for each of the DE consolidated group ($17.55x) and F ($1.71x) is greater using the AIRC method. Therefore, the stand-alone entity credit for each of the DE consolidated group and F must be computed using the AIRC method. The stand-alone entity credit for G ($0.50x) is greater using the method described in section 41(a). Therefore, the stand-alone entity credit for G must be computed using the method described in section 41(a). The sum of the members' stand-alone entity credits is $19.76x. (iii) Allocation of the group credit allocated to consolidated group -(A) In general. The group credit that is allocated to a consolidated group is allocated among the members of the consolidated group in accordance with the principles of paragraph (c) of this section. (B) Computation of stand-alone entity credits. Under paragraph (c)(2) of this section, the stand-alone entity credit for each member of the consolidated group must be computed using the method that results in the greater stand-alone entity credit for that member. The stand-alone entity credit for D ($19.46x) is greater using the AIRC method. Therefore, the stand-alone entity credit for D must be computed using the AIRC method. The stand-alone entity credit for E is zero under either method. The sum of the stand-alone entity credits of the members of the consolidated group is $19.46x. (A) In general. The research credit allowable to the group is computed as if H, I, and J were one taxpayer. The group credit is equal to 20 percent of the excess of the group's aggregate credit year QREs ($270x) over the group's base amount ($135x). The group credit is 0.20 x ($270x-$135x), which equals $27x. ( 1 ) Computation. The group's base amount equals the greater of: the group's fixed-base percentage (5 percent) multiplied by the group's aggregate average annual gross receipts for the 4 taxable years preceding the credit year ($1,400x), or the group's minimum base amount ($135x). The group's base amount, therefore, is $135x, which is the greater of: 0.05 x $1,400x, which equals $70x, or $135x. ( 2 ) Group's minimum base amount. The group's minimum base amount is 50 percent of the group's aggregate credit year QREs. The group's minimum base amount is 0.50 x $270x, which equals $135x. ( 3 ) Group's fixed-base percentage. Because the first taxable year in which at least one member of the group has QREs and at least one member of the group has gross receipts does not begin after December 31, 1983, the group is not a start-up company. Therefore, the group's fixed-base percentage is the lesser of: the ratio that the group's aggregate QREs for the taxable years beginning after December 31, 1983, and before January 1, 1989, bear to the group's aggregate gross receipts for the same period, or 16 percent (the statutory maximum). The group's fixed-base percentage, therefore, is 5 percent, which is the lesser of: $70x/$1,400x, which equals 5 percent, or 16 percent. (A) In general. The research credit allowable to the group is computed as if K, L, and M were one taxpayer. The group credit is equal to 20 percent of the excess of the group's aggregate credit year QREs ($380x) over the group's base amount ($190x). The group credit is 0.20x ($380x - $190x), which equals $38x. ( 1 ) Computation. The group's base amount equals the greater of: the group's fixed-base percentage (3 percent) multiplied by the group's aggregate average annual gross receipts for the 4 taxable years preceding the credit year ($2,240x), or the group's minimum base amount ($190x). The group's base amount, therefore, is $190x, which is the greater of: 0.03 x $2,240x, which equals $67.20x, or $190x. ( 2 ) Group's minimum base amount. The group's minimum base amount is 50 percent of the group's aggregate credit year QREs. The group's minimum base amount is 0.50 x $380x, which equals $190x. ( 3 ) Group's fixed-base percentage. Because the first taxable year in which at least one member of the group has QREs and at least one member of the group has gross receipts begins after December 31, 1983, the group is treated as a start-up company under section 41(c)(3)(B)(i) and paragraph (b)(2)(i) of this section. Because the 2004 taxable year is the fifth taxable year beginning after December 31, 1993, for which at least one member of the group had QREs, under section 41(c)(3)(B)(ii)(I), the group's fixed-base percentage is 3 percent. (ii) Computation of the group credit. The research credit allowable to the group is computed as if N, O, and P were one taxpayer. The group credit is equal to the sum of: 2.65 percent of so much of the group's aggregate QREs for the taxable year as exceeds 1 percent of the group's aggregate average annual gross receipts for the 4 taxable years preceding the credit year, but does not exceed 1.5 percent of such average; 3.2 percent of so much of the group's aggregate QREs as exceeds 1.5 percent of such average but does not exceed 2 percent of such average; and 3.75 percent of so much of such QREs as exceeds 2 percent of such average. The group credit is [0.0265 x [($1,700x x 0.015) - ($1,700x x 0.01)]] + [0.032 x [($1,700x x 0.02) - ($1,700x x 0.015)]] + [0.0375 x [$130x - ($1,700x x 0.02)]], which equals $4.10x. Example 7. Group alternative simplified credit. The following example illustrates a group computation in a year for which the ASC method under section 41(c)(5) is in effect. No members of the controlled group are members of a consolidated group and no member of the group made any basic research payments or paid or incurred any amounts to an energy research consortium. (ii) Computation of the group credit. The research credit allowable to the group is computed as if Q, R, and S are one taxpayer. The group credit is equal to 14 percent of so much of the QREs for the credit year as exceeds 50 percent of the average QREs for the three taxable years preceding the credit year. The group credit is 0.14 x ($50x - (0.5 x $40x)), which equals $4.2x. (f) For taxable years beginning before January 1, 1990. For taxable years beginning before January 1, 1990, see § 1.41-6 as contained in 26 CFR part 1, revised April 1, 2005. (g) Tax accounting periods used -(1) In general. The credit allowable to a member of a controlled group is that member's share of the group credit computed as of the end of that member's taxable year. In computing the group credit for a group whose members have different taxable years, a member generally should treat the taxable year of another member that ends with or within the credit year of the computing member as the credit year of that other member. For example, Q, R, and S are members of a controlled group of corporations. Both Q and R are calendar year taxpayers. S files a return using a fiscal year ending June 30. For purposes of computing the group credit at the end of Q's and R's taxable year on December 31, S's fiscal year ending June 30, which ends within Q's and R's taxable year, is treated as S's credit year. (2) Special rule when timing of research is manipulated. If the timing of research by members using different tax accounting periods is manipulated to generate a credit in excess of the amount that would be allowable if all members of the group used the same tax accounting period, then the appropriate Internal Revenue Service official in the operating division that has examination jurisdiction of the return may require each member of the group to calculate the credit in the current taxable year and all future years as if all members of the group had the same taxable year and base period as the computing member. (h) Membership during taxable year in more than one group. A trade or business may be a member of only one group for a taxable year. If, without application of this paragraph, a business would be a member of more than one group at the end of its taxable year, the business shall be treated as a member of the group in which it was included for its preceding taxable year. If the business was not included for its preceding taxable year in any group in which it could be included as of the end of its taxable year, the business shall designate in its timely filed (including extensions) return the group in which it is being included. If the return for a taxable year is due before July 1, 1983, the business may designate its group membership through an amended return for that year filed on or before June 30, 1983. If the business does not so designate, then the appropriate Internal Revenue Service official in the operating division that has examination jurisdiction of the return will determine the group in which the business is to be included. (1) In general. Because all members of a group under common control are treated as a single taxpayer for purposes of determining the research credit, transfers between members of the group are generally disregarded. (2) In-house research expenses. If one member of a group performs qualified research on behalf of another member, the member performing the research shall include in its QREs any in-house research expenses for that work and shall not treat any amount received or accrued as funding the research. Conversely, the member for whom the research is performed shall not treat any part of any amount paid or incurred as a contract research expense. For purposes of determining whether the in-house research for that work is qualified research, the member performing the research shall be treated as carrying on any trade or business carried on by the member on whose behalf the research is performed. (ii) Carries on a trade or business to which the research relates. (ii) The amount of the lease expenses paid to the person outside the group. (ii) The amount of the other member's basis in the supplies. (1) In general. Except for paragraph (d) of this section, these regulations are applicable for taxable years ending on or after May 24, 2005. Generally, a taxpayer may use any reasonable method of computing and allocating the credit (including use of the consolidated group rule contained in paragraph (d) of this section) for taxable years ending before May 24, 2005. However, paragraph (b) of this section, relating to the computation of the group credit, and paragraph (c) of this section, relating to the allocation of the group credit, (applied without regard to paragraph (d) of this section) will apply to taxable years ending on or after December 29, 1999, if the members of a controlled group, as a whole, claimed more than 100 percent of the amount that would be allowable under paragraph (b) of this section. In the case of a controlled group whose members have different taxable years and whose members use inconsistent methods of allocation, the members of the controlled group shall be deemed to have, as a whole, claimed more than 100 percent of the amount that would be allowable under paragraph (b) of this section. (2) Consolidated group rule. Paragraph (d) of this section is applicable for taxable years ending on or after November 9, 2006. For taxable years ending on or after May 24, 2005, and before November 9, 2006, see § 1.41-6T(d) as contained in 26 CFR part 1, revised April 1, 2006. (3) Taxable years ending after June 9, 2011. Paragraphs (b)(1), (c)(2), and (e) of this section are applicable for taxable years ending after June 9, 2011. For taxable years ending on or before June 9, 2011, see §§ 1.41-6T and 1.41-6 as contained in 26 CFR part 1, revised April 1, 2011. 26 CFR §1.41-7 Special rules. (i) Pass-through, for taxable years beginning after December 31, 1982, in the case of an S corporation. In the case of an S corporation (as defined in section 1361) the amount of research credit computed for the corporation shall be allocated to the shareholders according to the provisions of section 1366 and section 1377. (ii) Pass-through, for taxable years beginning before January 1, 1983, in the case of a subchapter S corporation. In the case of an electing small business corporation (as defined in section 1371 as that section read before the amendments made by the subchapter S Revision Act of 1982), the amount of the research credit computed for the corporation for any taxable year shall be apportioned pro rata among the persons who are shareholders of the corporation on the last day of the corporation's taxable year. (2) Pass-through in the case of an estate or trust. In the case of an estate or trust, the amount of the research credit computed for the estate or trust for any taxable year shall be apportioned among the estate or trust and the beneficiaries on the basis of the income of the estate or trust allocable to each. (i) In general. In the case of a partnership, the research credit computed for the partnership for any taxable year shall be apportioned among the persons who are partners during the taxable year in accordance with section 704 and the regulations thereunder. See, for example, § 1.704-1(b)(4)(ii). Because the research credit is an expenditure-based credit, the credit is to be allocated among the partners in the same proportion as section 174 expenditures are allocated for the year. (ii) Certain expenditures by joint ventures. Research expenses to which § 1.41-2(a)(4)(ii) applies shall be apportioned among the persons who are partners during the taxable year in accordance with the provisions of that section. For purposes of section 41, these expenses shall be treated as paid or incurred directly by the partners rather than by the partnership. Thus, the partnership shall disregard these expenses in computing the credit to be apportioned under paragraph (a)(3)(i) of this section, and in making the computations under section 41 each partner shall aggregate its distributive share of these expenses with other research expenses of the partner. The limitation on the amount of the credit set out in section 41(g) and in paragraph (c) of this section shall not apply because the credit is computed by the partner, not the partnership. (4) Year in which taken into account. An amount apportioned to a person under this paragraph shall be taken into account by the person in the taxable year of such person which or within which the taxable year of the corporation, estate, trust, or partnership (as the case may be) ends. (5) Credit allowed subject to limitation. The credit allowable to any person to whom any amount has been apportioned under paragraph (a)(1), (2) or (3)(i) of this section is subject to section 41(g) and sections 38 and 39 of the Code, if applicable. (b) Adjustments for certain acquisitions and dispositions-Meaning of terms. For the meaning of "acquisition," "separate unit," and "major portion," see paragraph (b) of § 1.52-2. An "acquisition" includes an incorporation or a liquidation. (c) Special rule for pass-through of credit. The special rule contained in section 41(g) for the pass-through of the credit in the case of an individual who owns an interest in an unincorporated trade or business, is a partner in a partnership, is a beneficiary of an estate or trust, or is a shareholder in an S corporation shall be applied in accordance with the principles set forth in § 1.53-3. (d) Carryback and carryover of unused credits. The taxpayer to whom the credit is passed through under paragraph (c) of this section shall not be prevented from applying the unused portion in a carryback or carryover year merely because the entity that earned the credit changes its form of conducting business. 26 CFR §1.41-8 Alternative incremental credit applicable for taxable years beginning on or before December 31, 2008. (a) Determination of credit . At the election of the taxpayer, the credit determined under section 41(a)(1) equals the amount determined under section 41(c)(4). (1) In general. A taxpayer may elect to apply the provisions of the alternative incremental research credit (AIRC) in section 41(c)(4) for any taxable year of the taxpayer beginning after June 30, 1996. If a taxpayer makes an election under section 41(c)(4), the election applies to the taxable year for which made and all subsequent taxable years unless revoked in the manner prescribed in paragraph (b)(3) of this section. (2) Time and manner of election. An election under section 41(c)(4) is made by completing the portion of Form 6765, "Credit for Increasing Research Activities," (or successor form) relating to the election of the AIRC, and attaching the completed form to the taxpayer's timely filed (including extensions) original return for the taxable year to which the election applies. An election under section 41(c)(4) may not be made on an amended return. An extension of time to make an election under section 41(c)(4) will not be granted under § 301.9100-3 of this chapter. (3) Revocation. An election under this section may not be revoked except with the consent of the Commissioner. A taxpayer is deemed to have requested, and to have been granted, the consent of the Commissioner to revoke an election under section 41(c)(4) if the taxpayer completes the portion of Form 6765, "Credit For Increasing Research Activities," (or successor form) relating to the amount determined under section 41(a)(1) (the regular credit) or the alternative simplified credit (ASC) and attaches the completed form to the taxpayer's timely filed (including extensions) original return for the year to which the revocation applies. An election under section 41(c)(4) may not be revoked on an amended return. An extension of time to revoke an election under section 41(c)(4) will not be granted under § 301.9100-3 of this chapter. (i) In general. In the case of a controlled group of corporations, all the members of which are not included on a single consolidated return, an election (or revocation) must be made by the designated member by satisfying the requirements of paragraph (b)(2) or (b)(3) of this section (whichever applies), and such election (or revocation) by the designated member shall be binding on all the members of the group for the credit year to which the election (or revocation) relates. If the designated member fails to timely make (or revoke) an election, each member of the group must compute the group credit using the method used to compute the group credit for the immediately preceding credit year. (ii) Designated member. For purposes of this paragraph (b)(4), for any credit year, the term designated member means that member of the group that is allocated the greatest amount of the group credit under § 1.41-6(c) based on the amount of credit reported on the taxpayer's timely filed (including extensions) original Federal income tax return (even if that member subsequently is determined not to be the designated member). If the members of a group compute the group credit using different methods (the method described in section 41(a)(1), the AIRC method of section 41(c)(4) (available for years beginning on or before December 31, 2008), or the ASC method of section 41(c)(5)) and at least two members of the group qualify as the designated member, then the term designated member means that member that computes the group credit using the method that yields the greatest group credit. For example, A, B, C, and D are members of a controlled group but are not members of a consolidated group. For the 2008 taxable year (the credit year), the group credit using the method described in section 41(a)(1) is $10x. Under this method, A would be allocated $5x of the group credit, which would be the largest share of the group credit under this method. For the credit year, the group credit using the AIRC method is $15x. Under the AIRC method, B would be allocated $5x of the group credit, which is the largest share of the group credit computed using the AIRC method. For the credit year, the group credit using the ASC method is $10x. Under the ASC method, C would be allocated $5x of the group credit, which is the largest share of the group credit computed using the ASC method. Because the group credit is greatest using the AIRC method and B is allocated the greatest amount of credit under that method, B is the designated member. Therefore, if B makes a section 41(c)(4) election on its original timely filed return for the credit year, that election is binding on all members of the group for the credit year. (5) Effective/applicability dates. This section is applicable for taxable years ending after June 9, 2011. For taxable years ending on or before June 9, 2011, see §§ 1.41-8 and 1.41-8T, as contained in 26 CFR part 1, revised April 1, 2011. 26 CFR §1.41-9 Alternative simplified credit. (a) Determination of credit. At the election of the taxpayer, the credit determined under section 41(a)(1) equals the amount determined under section 41(c)(5). (1) In general. A taxpayer may elect to apply the provisions of the alternative simplified credit (ASC) in section 41(c)(5) for any taxable year of the taxpayer ending after December 31, 2006. If a taxpayer makes an election under section 41(c)(5), the election applies to the taxable year for which made and all subsequent taxable years unless revoked in the manner prescribed in paragraph (b)(3) of this section. (2) Time and manner of election. An election under section 41(c)(5) is made by completing the portion of Form 6765, "Credit for Increasing Research Activities," (or successor form) relating to the election of the ASC, and attaching the completed form to the taxpayer's timely filed (including extensions) original return for the taxable year to which the election applies. An election under section 41(c)(5) may not be made on an amended return. An extension of time to make an election under section 41(c)(5) will not be granted under § 301.9100-3 of this chapter. (3) Revocation. An election under this section may not be revoked except with the consent of the Commissioner. A taxpayer is deemed to have requested, and to have been granted, the consent of the Commissioner to revoke an election under section 41(c)(5) if the taxpayer completes the portion of Form 6765 (or successor form) relating to the credit determined under section 41(a)(1) (the regular credit) or the alternative incremental credit (AIRC) and attaches the completed form to the taxpayer's timely filed (including extensions) original return for the year to which the revocation applies. An election under section 41(c)(5) may not be revoked on an amended return. An extension of time to revoke an election under section 41(c)(5) will not be granted under § 301.9100-3 of this chapter. (i) In general. In the case of a controlled group of corporations, all the members of which are not included on a single consolidated return, an election (or revocation) must be made by the designated member by satisfying the requirements of paragraphs (b)(2) or (b)(3) of this section (whichever applies), and such election (or revocation) by the designated member shall be binding on all the members of the group for the credit year to which the election (or revocation) relates. If the designated member fails to timely make (or revoke) an election, each member of the group must compute the group credit using the method used to compute the group credit for the immediately preceding credit year. (ii) Designated member. For purposes of this paragraph (b)(4), for any credit year, the term designated member means that member of the group that is allocated the greatest amount of the group credit under § 1.41-6(c) based on the amount of credit reported on the taxpayer's timely filed (including extensions) original Federal income tax return (even if that member subsequently is determined not to be the designated member). If the members of a group compute the group credit using different methods (the method described in section 41(a)(1), the AIRC method of section 41(c)(4), or the ASC method of section 41(c)(5)) and at least two members of the group qualify as the designated member, then the term designated member means that member that computes the group credit using the method that yields the greatest group credit. For example, A, B, C, and D are members of a controlled group but are not members of a consolidated group. For the 2011 taxable year (the credit year), the group credit using the method described in section 41(a)(1) is $10x. Under this method, A would be allocated $5x of the group credit, which would be the largest share of the group credit under this method. For the credit year, the group credit using the ASC method is $15x. Under the ASC method, C would be allocated $5x of the group credit, which is the largest share of the group credit computed using the ASC method. Because the group credit is greatest using the ASC method and C is allocated the greatest amount of credit under that method, C is the designated member. Therefore, if C makes a section 41(c)(5) election on its timely filed (including extensions) original return for the credit year, that election is binding on all members of the group for the credit year. (1) Qualified research expenses (QREs) required in all years. Unless a taxpayer has QREs in each of the three taxable years preceding the taxable year for which the credit is being determined, the credit equals that percentage of the QREs for the taxable year provided by section 41(c)(5)(B)(ii). (2) Section 41(c)(6) applicability. QREs for the three taxable years preceding the credit year must be determined on a basis consistent with the definition of QREs for the credit year, without regard to the law in effect for the three taxable years preceding the credit year. This consistency requirement applies even if the period for filing a claim for credit or refund has expired for any of the three taxable years preceding the credit year. (i) General rule. If one or more of the three taxable years preceding the credit year is a short taxable year, then the QREs for such year are deemed to be equal to the QREs actually paid or incurred in that year multiplied by 365 and divided by the number of days in that year. If a credit year is a short taxable year, then the average QREs for the three taxable years preceding the credit year are modified by multiplying that amount by the number of days in the short taxable year and dividing the result by 365. (ii) Limited exception. Returns filed for taxable years ending after December 31, 2006, and before June 9, 2011, and for which the period of limitations has not expired, may be amended to apply the daily calculation for short taxable years provided in paragraph (3)(i) of this section in lieu of the monthly calculation for short taxable years provided in § 1.41-9T(c)(4). (4) Controlled groups. For purposes of computing the group credit under § 1.41-6, a controlled group must apply the rules of this paragraph (c) on an aggregate basis. For example, if the controlled group has QREs in each of the three taxable years preceding the taxable year for which the credit is being determined, the controlled group applies the credit computation provided by section 41(c)(5)(A) rather than section 41(c)(5)(B)(ii). (d) Effective/applicability dates. This section is applicable for taxable years ending after June 9, 2011. For taxable years ending on or before June 9, 2011, see § 1.41-9T as contained in 26 CFR part 1, revised April 1, 2011. Download a PDF of the CFR Section 1.41 for your convenience. Title 26: Internal Revenue -- Chapter 1: Internal Revenue Service, Department of the Treasury -- Subchapter A: Income Tax -- Part 1: Income Tax -- Section 1.174: Research and Experimental Expenditures of the Code of Federal Regulations describes the credit for increasing research activities. 26 CFR §1.174-1 Research and experimental expenditures; in general. Section 174 provides two methods for treating research or experimental expenditures paid or incurred by the taxpayer in connection with his trade or business. These expenditures may be treated as expenses not chargeable to capital account and deducted in the year in which they are paid or incurred (see § 1.174-3), or they may be deferred and amortized (see § 1.174-4). Research or experimental expenditures which are neither treated as expenses nor deferred and amortized under section 174 must be charged to capital account. The expenditures to which section 174 applies may relate either to a general research program or to a particular project. See § 1.174-2 for the definition of research and experimental expenditures. The term paid or incurred, as used in section 174 and in §§ 1.174-1 to 1.174-4, inclusive, is to be construed according to the method of accounting used by the taxpayer in computing taxable income. 26 CFR §1.174-2 Definition of research and experimental expenditures. (1) The term research or experimental expenditures, as used in section 174, means expenditures incurred in connection with the taxpayer's trade or business which represent research and development costs in the experimental or laboratory sense. The term generally includes all such costs incident to the development or improvement of a product. The term includes the costs of obtaining a patent, such as attorneys' fees expended in making and perfecting a patent application. Expenditures represent research and development costs in the experimental or laboratory sense if they are for activities intended to discover information that would eliminate uncertainty concerning the development or improvement of a product. Uncertainty exists if the information available to the taxpayer does not establish the capability or method for developing or improving the product or the appropriate design of the product. Whether expenditures qualify as research or experimental expenditures depends on the nature of the activity to which the expenditures relate, not the nature of the product or improvement being developed or the level of technological advancement the product or improvement represents. (2) For purposes of this section, the term product includes any pilot model, process, formula, invention, technique, patent, or similar property, and includes products to be used by the taxpayer in its trade or business as well as products to be held for sale, lease, or license. (vii) Research in connection with literary, historical, or similar projects. (4) For purposes of paragraph (a)(3)(i) of this section, testing or inspection to determine whether particular units of materials or products conform to specified parameters is quality control testing. However, quality control testing does not include testing to determine if the design of the product is appropriate. (5) See section 263A and the regulations thereunder for cost capitalization rules which apply to expenditures paid or incurred for research in connection with literary, historical, or similar projects involving the production of property, including the production of films, sound recordings, video tapes, books, or similar properties. (6) Section 174 applies to a research or experimental expenditure only to the extent that the amount of the expenditure is reasonable under the circumstances. In general, the amount of an expenditure for research or experimental activities is reasonable if the amount would ordinarily be paid for like activities by like enterprises under like circumstances. Amounts supposedly paid for research that are not reasonable under the circumstances may be characterized as disguised dividends, gifts, loans, or similar payments. The reasonableness requirement of this paragraph (a)(6) does not apply to the reasonableness of the type or nature of the activities themselves. (7) This paragraph (a) applies to taxable years beginning after October 3, 1994. (8) The provisions of this section apply not only to costs paid or incurred by the taxpayer for research or experimentation undertaken directly by him but also to expenditures paid or incurred for research or experimentation carried on in his behalf by another person or organization (such as a research institute, foundation, engineering company, or similar contractor). However, any expenditures for research or experimentation carried on in the taxpayer's behalf by another person are not expenditures to which section 174 relates, to the extent that they represent expenditures for the acquisition or improvement of land or depreciable property, used in connection with the research or experimentation, to which the taxpayer acquires rights of ownership. Example 1. A engages B to undertake research and experimental work in order to create a particular product. B will be paid annually a fixed sum plus an amount equivalent to his actual expenditures. In 1957, A pays to B in respect of the project the sum of $150,000 of which $25,000 represents an addition to B's laboratory and the balance represents charges for research and experimentation on the project. It is agreed between the parties that A will absorb the entire cost of this addition to B's laboratory which will be retained by B. A may treat the entire $150,000 as expenditures under section 174. Example 2. X Corporation, a manufacturer of explosives, contracts with the Y research organization to attempt through research and experimentation the creation of a new process for making certain explosives. Because of the danger involved in such an undertaking, Y is compelled to acquire an isolated tract of land on which to conduct the research and experimentation. It is agreed that upon completion of the project Y will transfer this tract, including any improvements thereon, to X. Section 174 does not apply to the amount paid to Y representing the costs of the tract of land and improvements. (b) Certain expenditures with respect to land and other property. (1) Expenditures by the taxpayer for the acquisition or improvement of land, or for the acquisition or improvement of property which is subject to an allowance for depreciation under section 167 or depletion under section 611, are not deductible under section 174, irrespective of the fact that the property or improvements may be used by the taxpayer in connection with research or experimentation. However, allow- ances for depreciation or depletion of property are considered as research or experimental expenditures, for purposes of section 174, to the extent that the property to which the allowances relate is used in connection with research or experimentation. If any part of the cost of acquisition or improvement of depreciable property is attributable to research or experimentation (whether made by the taxpayer or another), see subparagraphs (2), (3), and (4) of this paragraph. (2) Expenditures for research or experimentation which result, as an end product of the research or experimentation, in depreciable property to be used in the taxpayer's trade or business may, subject to the limitations of subparagraph (4) of this paragraph, be allowable as a current expense deduction under section 174(a). Such expenditures cannot be amortized under section 174(b) except to the extent provided in paragraph (a)(4) of § 1.174-4. (3) If expenditures for research or experimentation are incurred in connection with the construction or manufacture of depreciable property by another, they are deductible under section 174(a) only if made upon the taxpayer's order and at his risk. No deduction will be allowed (i) if the taxpayer purchases another's product under a performance guarantee (whether express, implied, or imposed by local law) unless the guarantee is limited, to engineering specifications or otherwise, in such a way that economic utility is not taken into account; or (ii) for any part of the purchase price of a product in regular production. For example, if a taxpayer orders a specially-built automatic milling machine under a guarantee that the machine will be capable of producing a given number of units per hour, no portion of the expenditure is deductible since none of it is made at the taxpayer's risk. Similarly, no deductible expense is incurred if a taxpayer enters into a contract for the construction of a new type of chemical processing plant under a turn-key contract guaranteeing a given annual production and a given consumption of raw material and fuel per unit. On the other hand, if the contract contained no guarantee of quality of production and of quantity of units in relation to consumption of raw material and fuel, and if real doubt existed as to the capabilities of the process, expenses for research or experimentation under the contract are at the taxpayer's risk and are deductible under section 174(a). However, see subparagraph (4) of this paragraph. (4) The deductions referred to in subparagraphs (2) and (3) of this paragraph for expenditures in connection with the acquisition or production of depreciable property to be used in the taxpayer's trade or business are limited to amounts expended for research or experimentation. For the purpose of the preceding sentence, amounts expended for research or experimentation do not include the costs of the component materials of the depreciable property, the costs of labor or other elements involved in its construction and installation, or costs attributable to the acquisition or improvement of the property. For example, a taxpayer undertakes to develop a new machine for use in his business. He expends $30,000 on the project of which $10,000 represents the actual costs of material, labor, etc., to construct the machine, and $20,000 represents research costs which are not attributable to the machine itself. Under section 174(a) the taxpayer would be permitted to deduct the $20,000 as expenses not chargeable to capital account, but the $10,000 must be charged to the asset account (the machine). (c) Exploration expenditures. The provisions of section 174 are not applicable to any expenditures paid or incurred for the purpose of ascertaining the existence, location, extent, or quality of any deposit of ore, oil, gas or other mineral. See sections 617 and 263. 26 CFR §1.174-3 Treatment as expenses. (a) In general. Research or experimental expenditures paid or incurred by a taxpayer during the taxable year in connection with his trade or business are deductible as expenses, and are not chargeable to capital account, if the taxpayer adopts the method provided in section 174(a). See paragraph (b) of this section. If adopted, the method shall apply to all research and experimental expenditures paid or incurred in the taxable year of adoption and all subsequent taxable years, unless a different method is authorized by the Commissioner under section 174(a)(3) with respect to part or all of the expenditures. See paragraph (b)(3) of this section. Thus, if a change to the deferred expense method under section 174(b) is authorized by the Commissioner with respect to research or experimental expenditures attributable to a particular project or projects, the taxpayer, for the taxable year of the change and for subsequent taxable years, must apply the deferred expense method to all such expenditures paid or incurred during any of those taxable years in connection with the particular project or projects, even though all other research and experimental expenditures are required to be deducted as current expenses under this section. In no event will the taxpayer be permitted to adopt the method described in this section as to part of the expenditures relative to a particular project and adopt for the same taxable year a different method of treating the balance of the expenditures relating to the same project. (1) Adoption without consent. The method described in this section may be adopted for any taxable year beginning after December 31, 1953, and ending after August 16, 1954. The consent of the Commissioner is not required if the taxpayer adopts the method for the first such taxable year in which he pays or incurs research or experimental expenditures. The taxpayer may do so by claiming in his income tax return for such year a deduction for his research or experimental expenditures. If the taxpayer fails to adopt the method for the first taxable year in which he incurs such expenditures, he cannot do so in subsequent taxable years unless he obtains the consent of the Commissioner under section 174(a)(2)(B) and subparagraph (2) of this paragraph. See, however, subparagraph (4) of this paragraph, relating to extensions of time. (2) Adoption with consent. A taxpayer may, with the consent of the Commissioner, adopt at any time the method provided in section 174(a). The method adopted in this manner shall be applicable only to expenditures paid or incurred during the taxable year for which the request is made and in subsequent taxable years. A request to adopt this method shall be in writing and shall be addressed to the Commissioner of Internal Revenue, Attention: T:R, Washington, DC, 20224. The request shall set forth the name and address of the taxpayer, the first taxable year for which the adoption of the method is requested, and a description of the project or projects with respect to which research or experimental expenditures are to be, or have already been, paid or incurred. The request shall be signed by the taxpayer (or his duly authorized representative) and shall be filed not later than the last day of the first taxable year for which the adoption of the method is requested. See, however, subparagraph (4) of this paragraph, relating to extensions of time. (vi) State the reasons for the change. If permission is granted to make the change, the taxpayer shall attach a copy of the letter granting permission to his income tax return for the first taxable year in which the different method is effective. (4) Special rules. If the last day prescribed by law for filing a return for any taxable year (including extensions thereof) to which section 174(a) is applicable falls before January 2, 1958, consent is hereby given for the taxpayer to adopt the expense method or to change from the expense method to a different method. In the case of a change from the expense method to a different method, the taxpayer, on or before January 2, 1958, must submit to the district director for the internal revenue district in which the return was filed the information required by subparagraph (3) of this paragraph. For any taxable year for which the expense method or a different method is adopted pursuant to this subparagraph, an amended return reflecting such method shall be filed on or before January 2, 1958, if such return is necessary. 26 CFR §1.174-4 Treatment as deferred expenses. (1) If a taxpayer has not adopted the method provided in section 174(a) of treating research or experimental expenditures paid or incurred by him in connection with his trade or business as currently deductible expenses, he may, for any taxable year beginning after December 31, 1953, elect to treat such expenditures as deferred expenses under section 174(b), subject to the limitations of subparagraph (2) of this paragraph. If a taxpayer has adopted the method of treating such expenditures as expenses under section 174(a), he may not elect to defer and amortize any such expenditures unless permission to do so is granted under section 174(a)(3). See paragraph (b) of this section. (2) The election to treat research or experimental expenditures as deferred expenses under section 174(b) applies only to those expenditures which are chargeable to capital account but which are not chargeable to property of a character subject to an allowance for depreciation or depletion under section 167 or 611, respectively. Thus, the election under section 174(b) applies only if the property resulting from the research or experimental expenditures has no determinable useful life. If the property resulting from the expenditures has a determinable useful life, section 174(b) is not applicable, and the capitalized expenditures must be amortized or depreciated over the determinable useful life. Amounts treated as deferred expenses are properly chargeable to capital account for purposes of section 1016(a)(1), relating to adjustments to basis of property. See section 1016(a)(14). See section 174(c) and paragraph (b)(1) of § 1.174-2 for treatment of expenditures for the acquisition or improvement of land or of depreciable or depletable property to be used in connection with the research or experimentation. (3) Expenditures which are treated as deferred expenses under section 174(b) are allowable as a deduction ratably over a period of not less than 60 consecutive months beginning with the month in which the taxpayer first realizes benefits from the expenditures. The length of the period shall be selected by the taxpayer at the time he makes the election to defer the expenditures. If a taxpayer has two or more separate projects, he may select a different amortization period for each project. In the absence of a showing to the contrary, the taxpayer will be deemed to have begun to realize benefits from the deferred expenditures in the month in which the taxpayer first puts the process, formula, invention, or similar property to which the expenditures relate to an income-producing use. See section 1016(a)(14) for adjustments to basis of property for amounts allowed as deductions under section 174(b) and this section. See section 165 and the regulations thereunder for rules relating to the treatment of losses resulting from abandonment. (4) If expenditures which the taxpayer has elected to defer and deduct ratably over a period of time in accordance with section 174(b) result in the development of depreciable property, deductions for the unrecovered expenditures, beginning with the time the asset becomes depreciable in character, shall be determined under section 167 (relating to depreciation) and the regulations thereunder. For example, for the taxable year 1954, A, who reports his income on the basis of a calendar year, elects to defer and deduct ratably over a period of 60 months research and experimental expenditures made in connection with a particular project. In 1956, the total of the deferred expenditures amounts to $60,000. At that time, A has developed a process which he seeks to patent. On July 1, 1956, A first realized benefits from the marketing of products resulting from this process. Therefore, the expenditures deferred are deductible ratably over the 60-month period beginning with July 1, 1956 (when A first realized benefits from the project). In his return for the year 1956. A deducted $6,000; in 1957, A deducted $12,000 ($1,000 per month). On July 1, 1958, a patent protecting his process is obtained by A. In his return for 1958, A is entitled to a deduction of $6,000, representing the amortizable portion of the deferred expenses attributable to the period prior to July 1, 1958. The balance of the unrecovered expenditures ($60,000 minus $24,000, or $36,000) is to be recovered as a depreciation deduction over the life of the patent commencing with July 1, 1958. Thus, one-half of the annual depreciation deduction based upon the useful life of the patent is also deductible for 1958 (from July 1 to December 31). (5) The election shall be applicable to all research and experimental expenditures paid or incurred by the taxpayer or, if so limited by the taxpayer's election, to all such expenditures with respect to the particular project, subject to the limitations of subparagraph (2) of this paragraph. The election shall apply for the taxable year for which the election is made and for all subsequent taxable years, unless a change to a different treatment is authorized by the Commissioner under section 174(b)(2). See paragraph (b)(2) of this section. Likewise, the taxpayer shall adhere to the amortization period selected at the time of the election unless a different period of amortization with respect to a part or all of the expenditures is similarly authorized. However, no change in method will be permitted with respect to expenditures paid or incurred before the taxable year to which the change is to apply. In no event will the taxpayer be permitted to treat part of the expenditures with respect to a particular project as deferred expenses under section 174(b) and to adopt a different method of treating the balance of the expenditures relating to the same project for the same taxable year. The election under this section shall not apply to any expenditures paid or incurred before the taxable year for which the taxpayer makes the election. (vi) State that the taxpayer will make an accounting segregation in his books and records of the expenditures to which the election relates. (iii) Unamortized expenditures attributable to each project at the beginning of the taxable year in which the application is filed. In addition, the application shall set forth the length of the new period or periods proposed, or the new method of treatment proposed, the reasons for the proposed change, and such information as will identify the project or projects to which the expenditures affected by the change relate. If permission is granted to make the change, the taxpayer shall attach a copy of the letter granting the permission to his income tax return for the first taxable year in which the different method or period is to be effective. (3) Special rules. If the last day prescribed by law for filing a return for any taxable year for which the deferred method provided in section 174(b) has been adopted falls before January 2, 1958, consent is hereby given for the taxpayer to change from such method and adopt a different method of treating research or experimental expenditures, provided that on or before January 2, 1958, he submits to the district director for the district in which the return was filed the information required by subparagraph (2) of this paragraph, relating to a change to a different method or period. For any taxable year for which the different method is adopted pursuant to this subparagraph, an amended return reflecting such method shall be filed on or before January 2, 1958. The above expenditures result in a process which is marketable but not patentable and which has no determinable useful life. N Corporation first realizes benefits from the process in January 1956. N Corporation is entitled to deduct the amount of $6,000 ($36,000x12 months/72 months) as deferred expenses under section 174(b) in computing taxable income for 1956. Download a PDF of the CFR Section 1.174 for your convenience. Temporary, interim, and final regulations are initially published as Treasury Decisions (TD) in the Internal Revenue Bulletin. Proposed Treasury Regulations are drafted by the Internal Revenue Service for the administration, application, and enforcement of the Federal laws. After the notice and comment period, the Final Treasury Regulations are then published first in the Federal Register before final publication in the Code of Federal Regulations. The IRS web version can be found here.